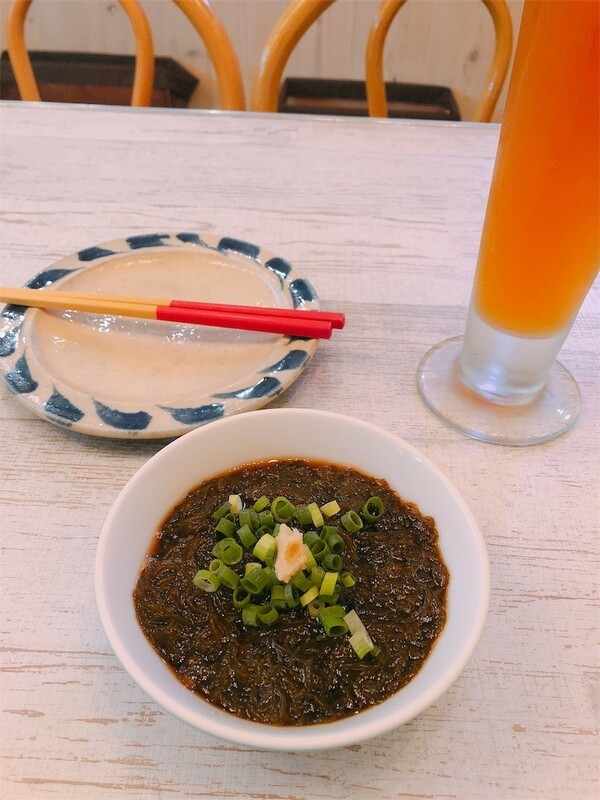 Recently, I found out a nice Okinawa cuisine restaurant near my office. 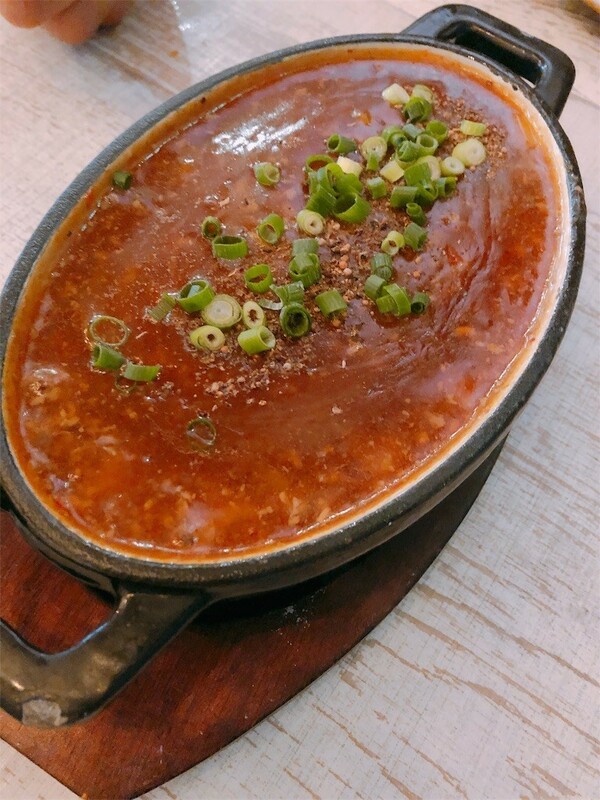 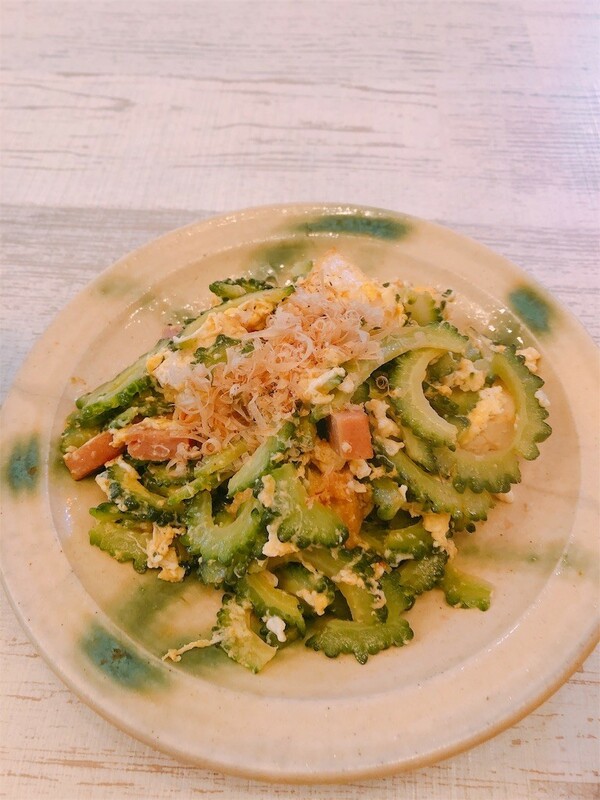 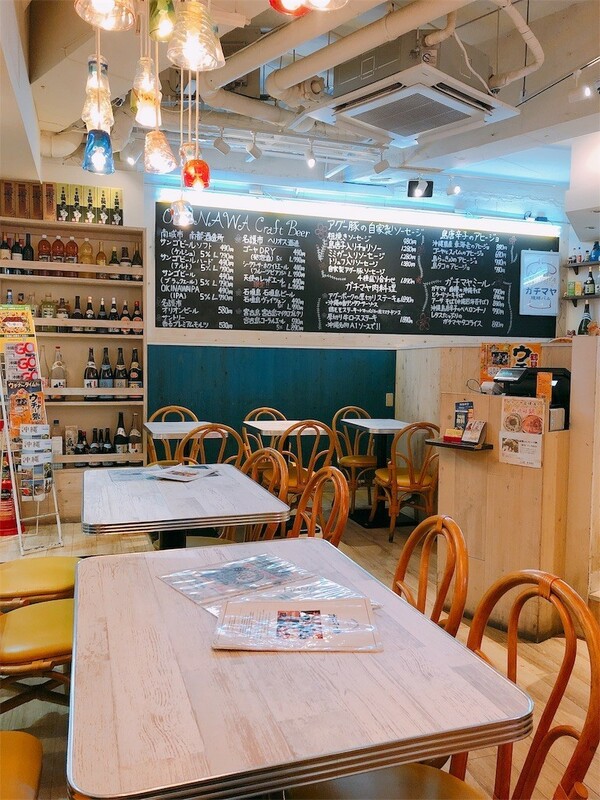 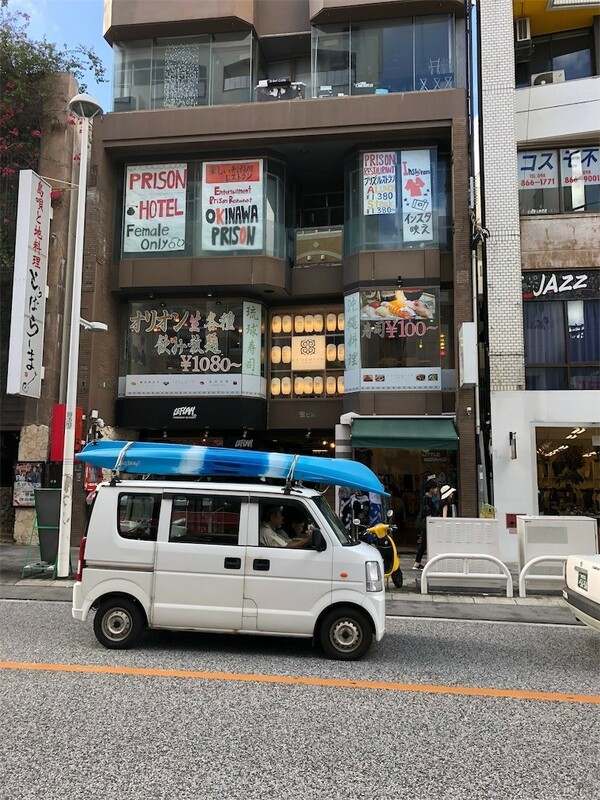 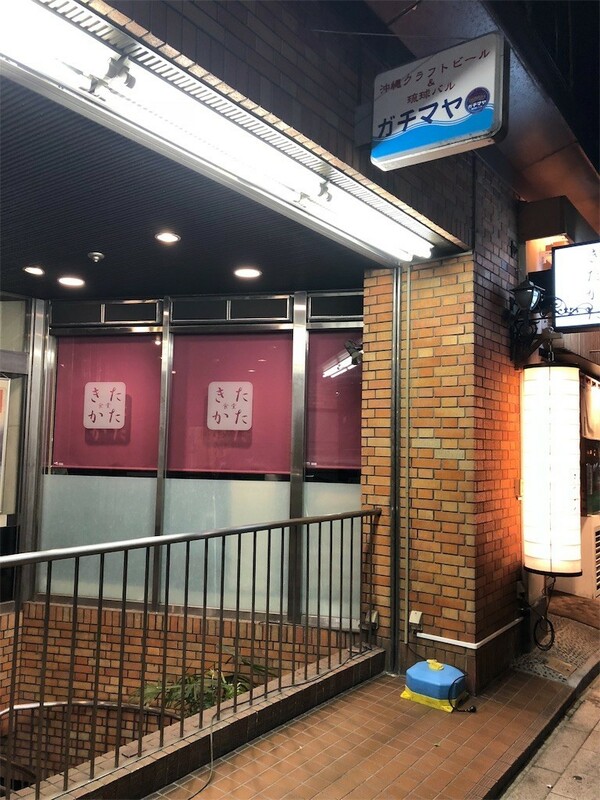 The restaurant Gachimaya is located just outside Jinbocho Station. 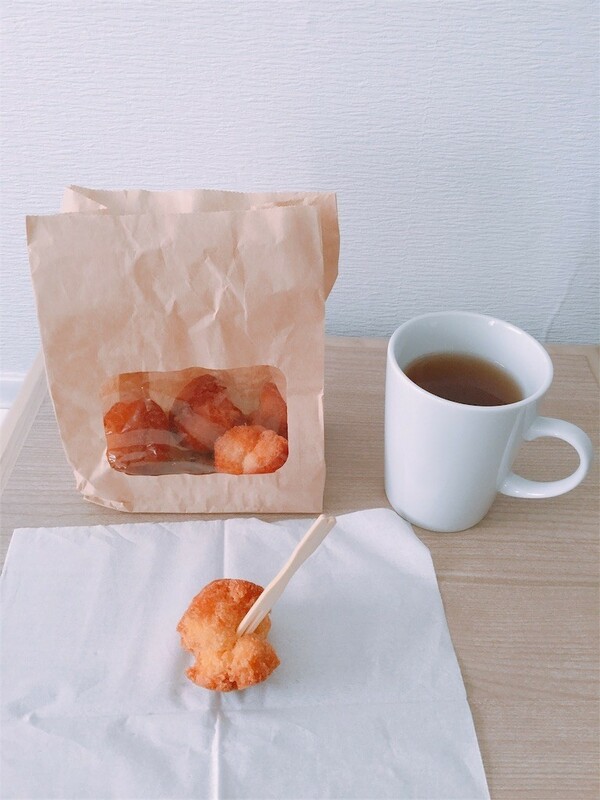 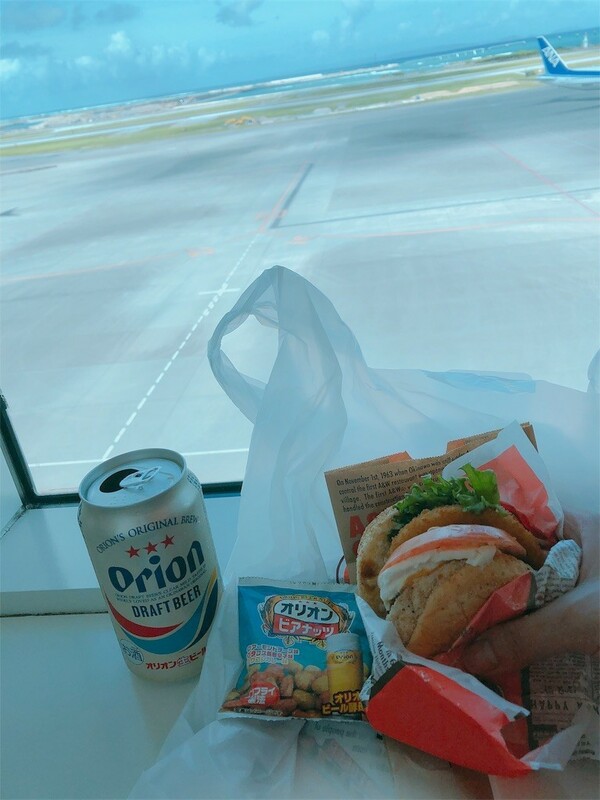 "Gachimaya" means " glutton" in Okinawa's dialect. 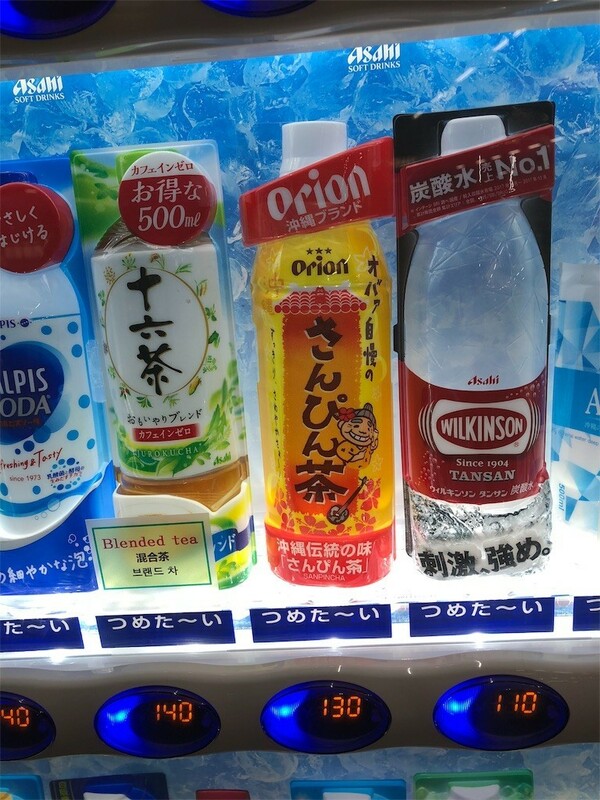 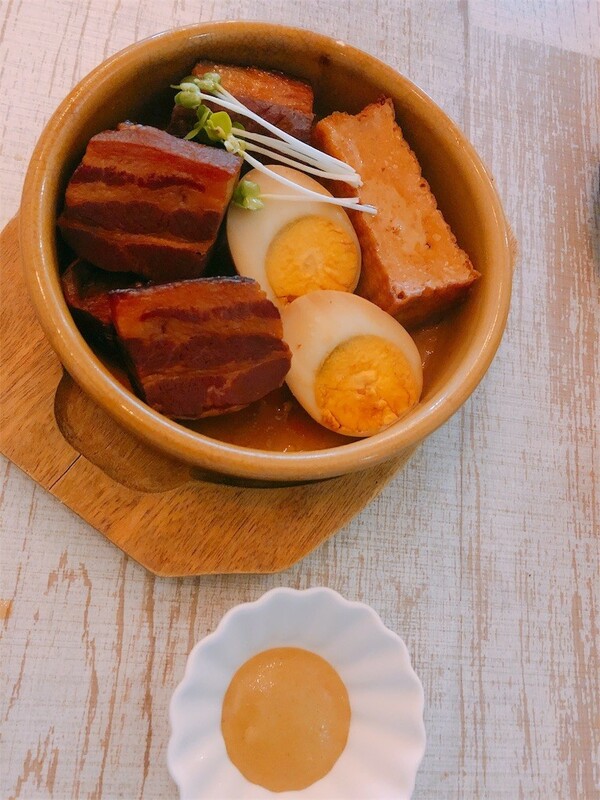 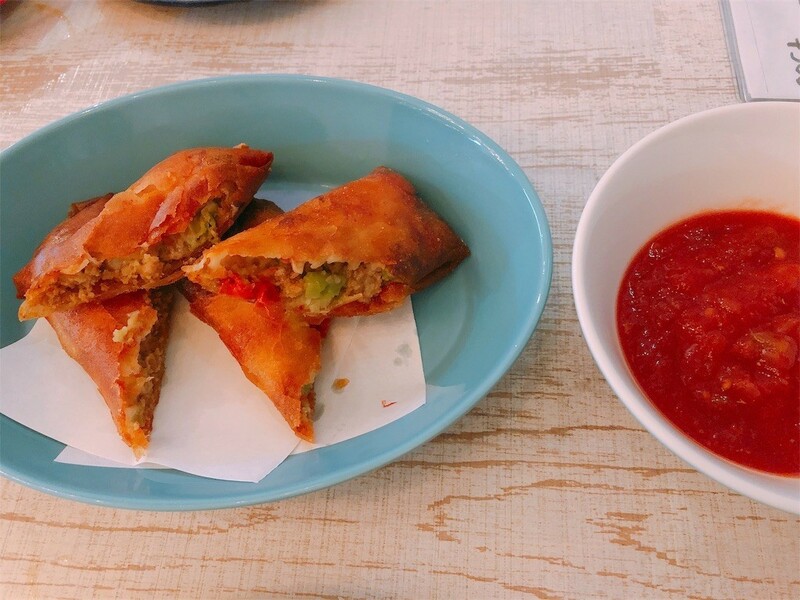 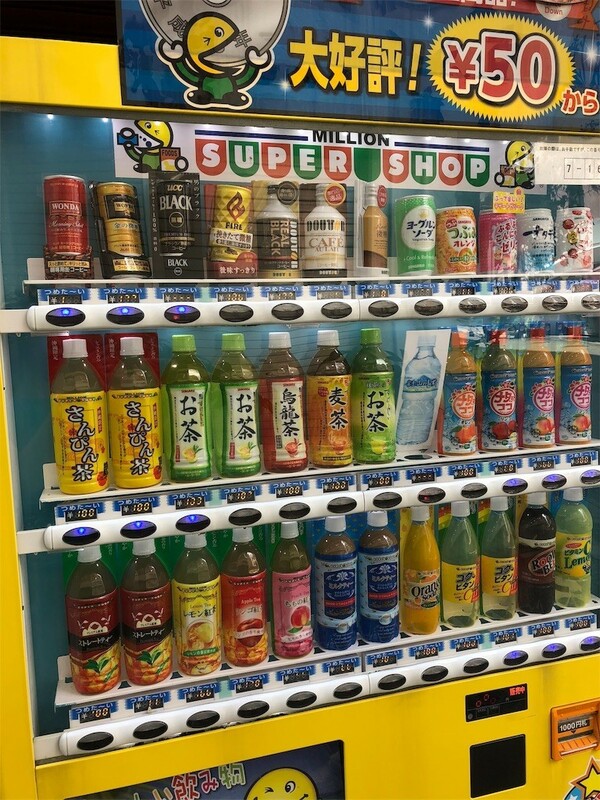 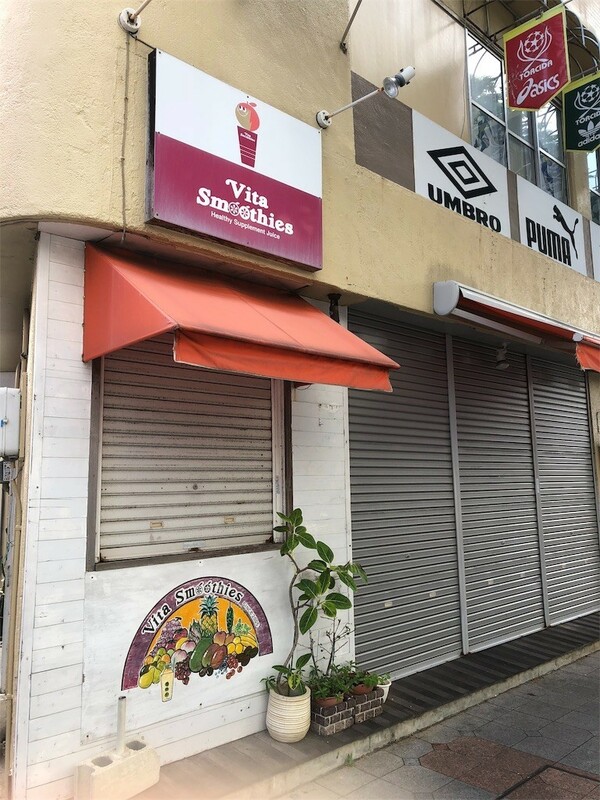 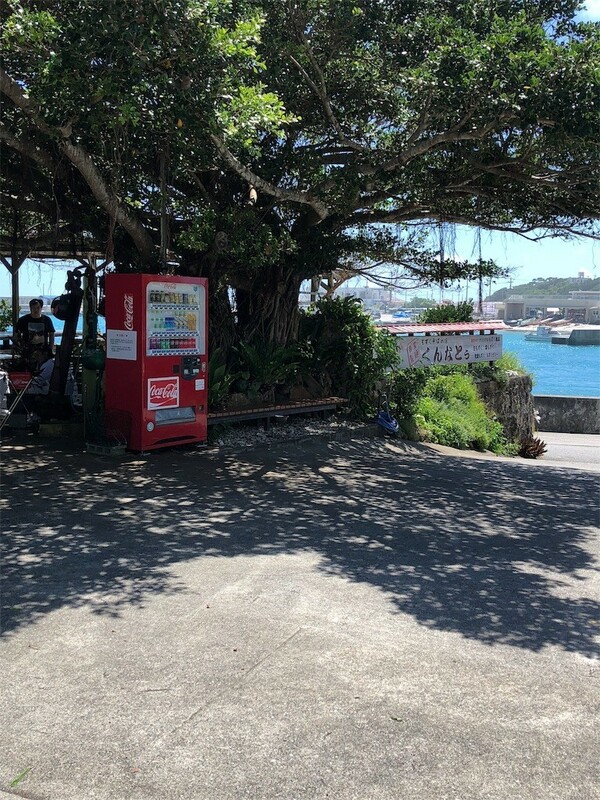 You can enjoy unique ingredients and drinks from Okinawa. 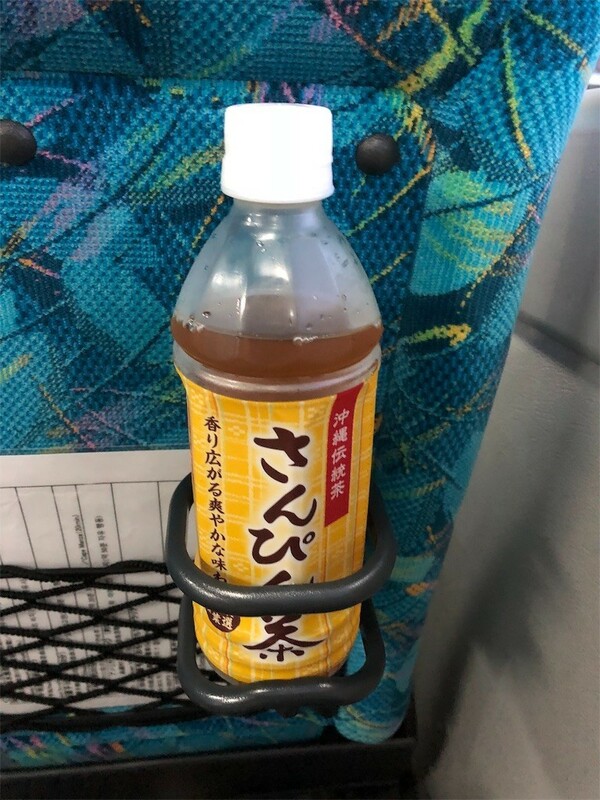 Awamori aged over 3 years is called "Kusu" which means "old liquor". 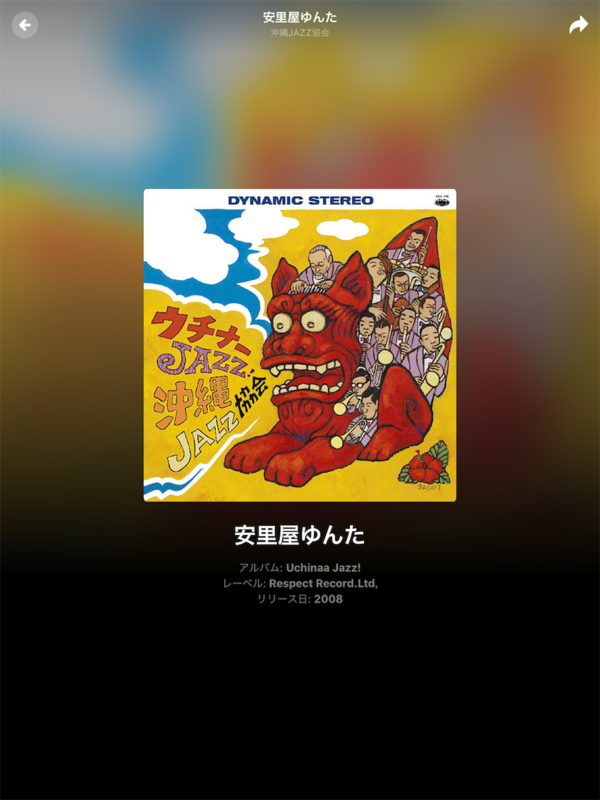 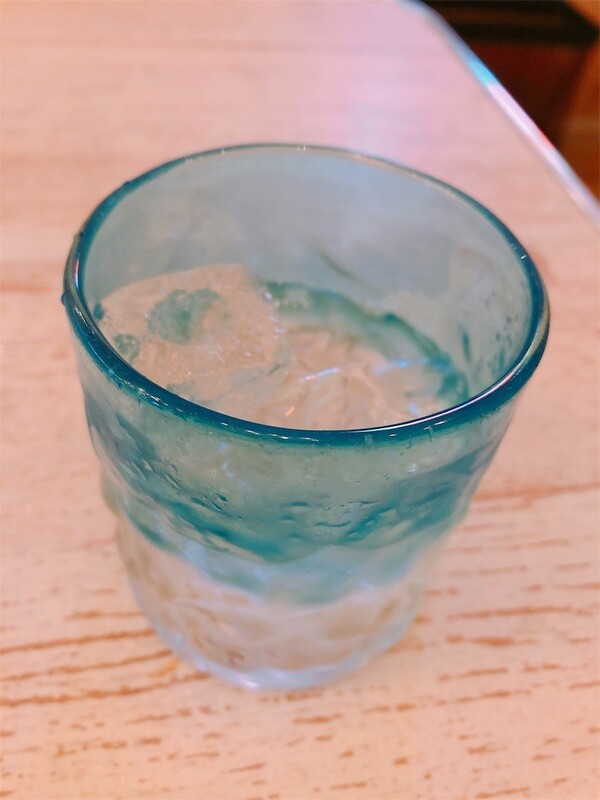 It was the best moment to relax to listen to Okinawan jazz while drinking a glass of Kusu on the rocks. 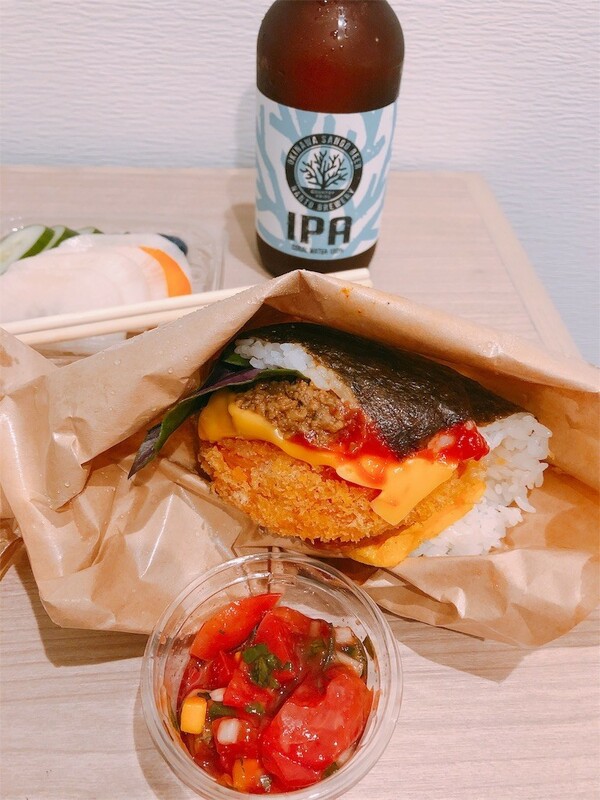 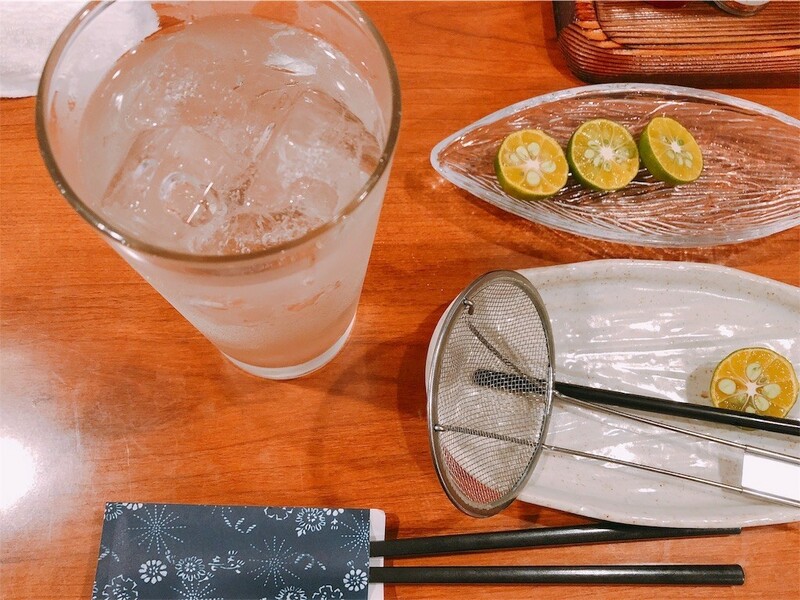 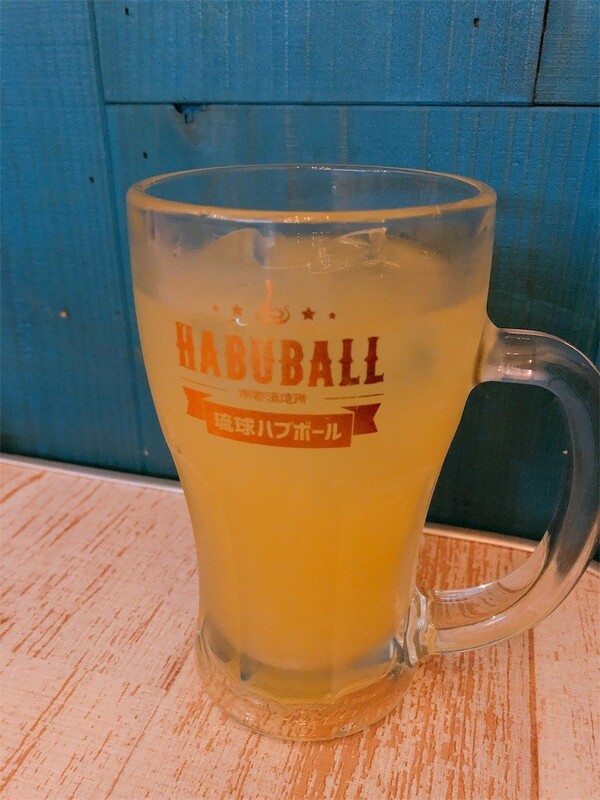 It was served with a drinking cup made from Ryukyu Glass. 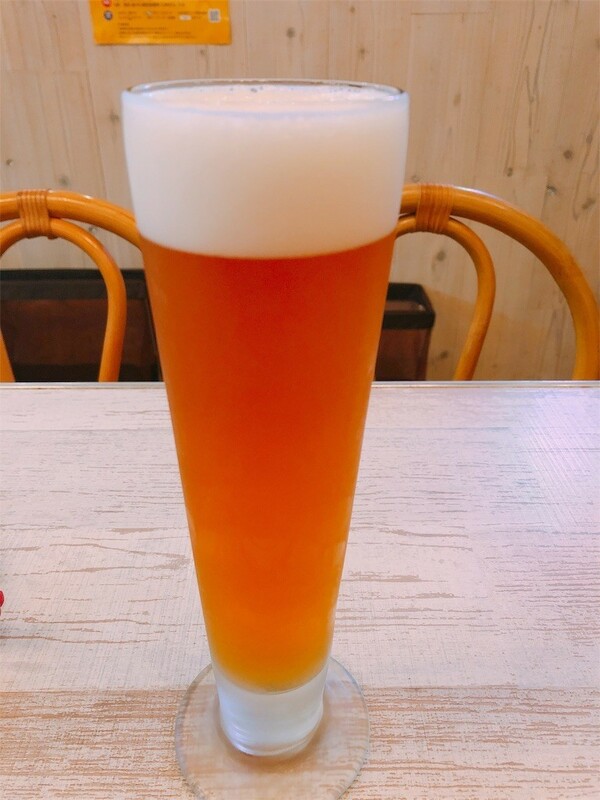 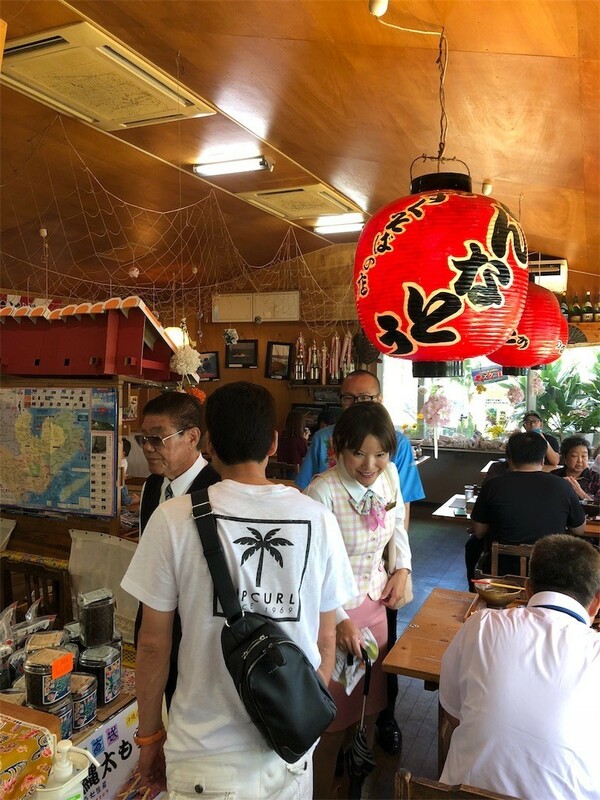 Ryukyu Ocho is one of the most excellent Aawamori breweries in Okinawa, and whose owner's family is a classmate of my acquaintance. 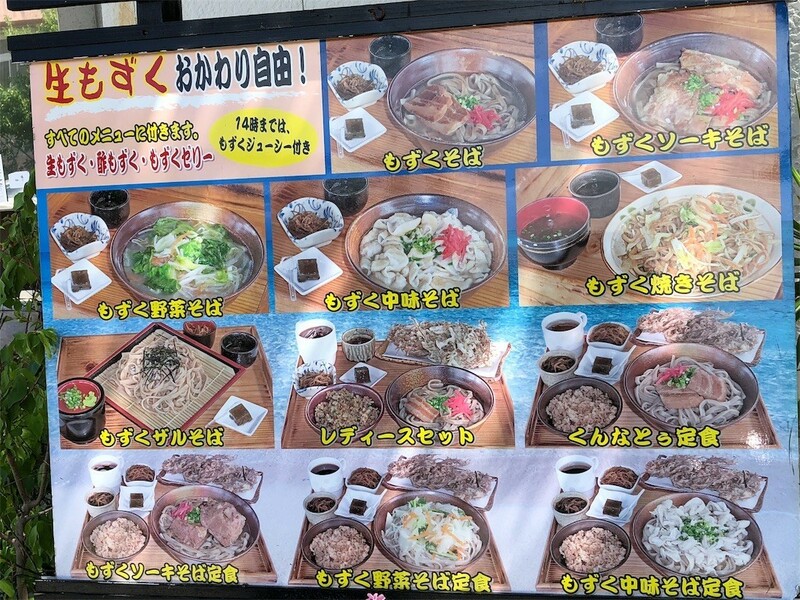 I have to be surprised at a soba shop Iwamoto Q. 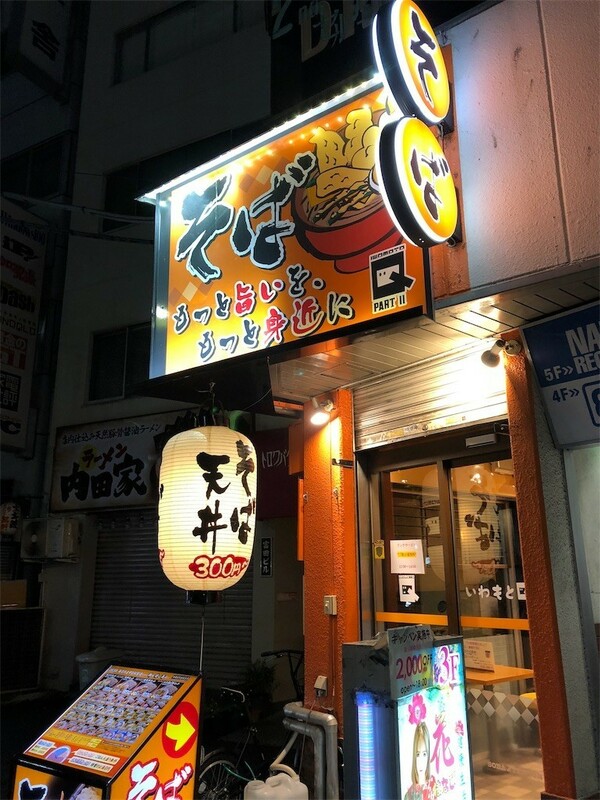 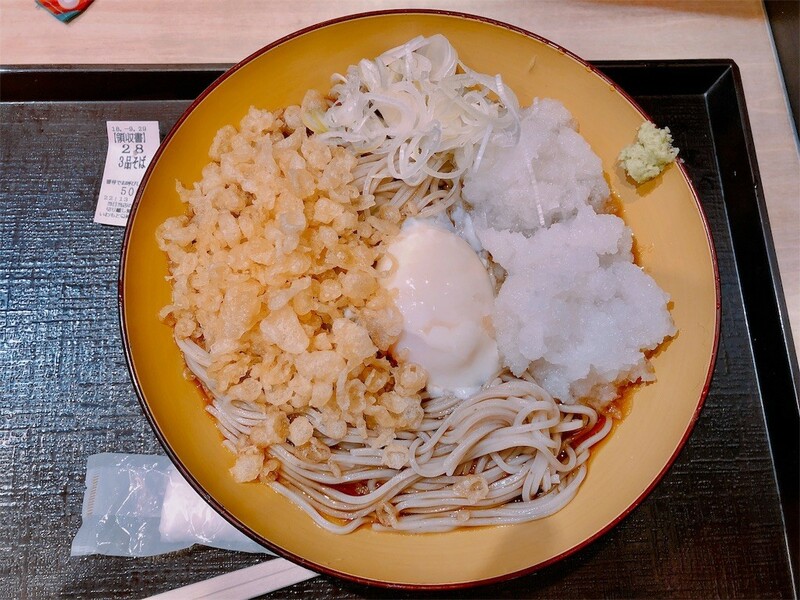 Despite cheap price, Iwamoto Q's soba is very good. 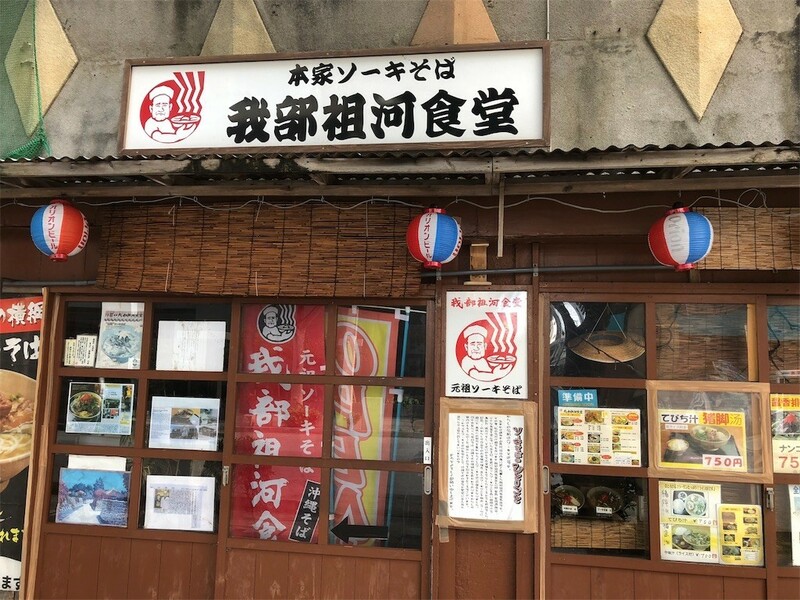 Mr. Iwamoto, who is the president of Iwamoto Q has been devoted to making delicious soba, while reducing operating cost. 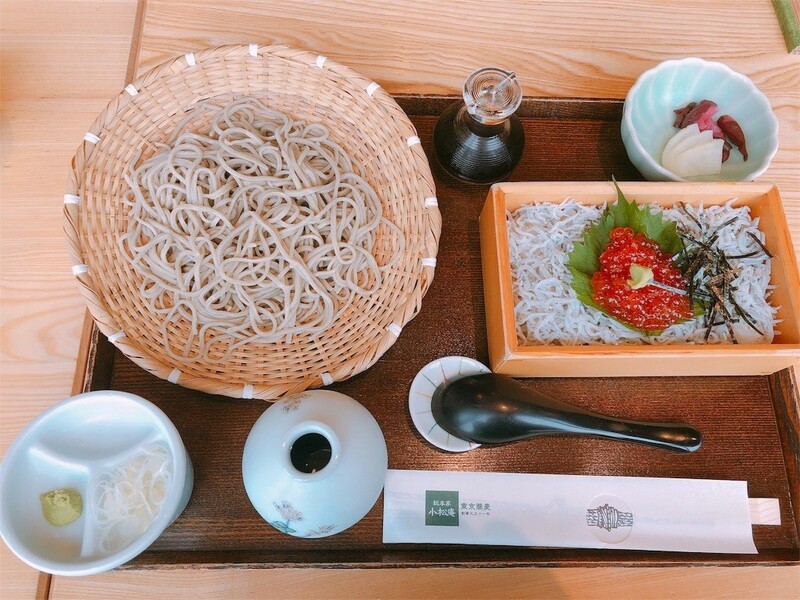 Komatsuan located on the 7th floor at the Tokyo Sky Tree is a long-established soba restaurant founded in 1922. 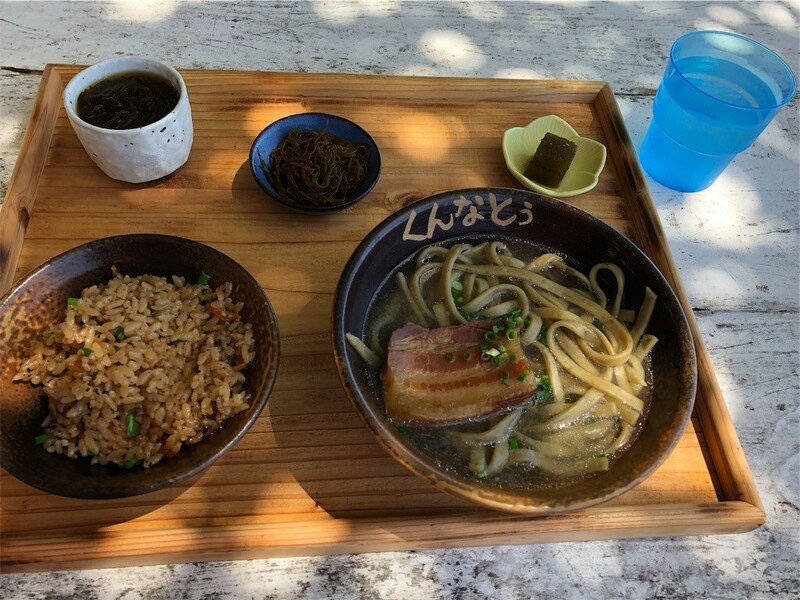 Although Komatsuan's soba is expensive for me, we can enjoy Japanese traditional atmosphere and high-level service. 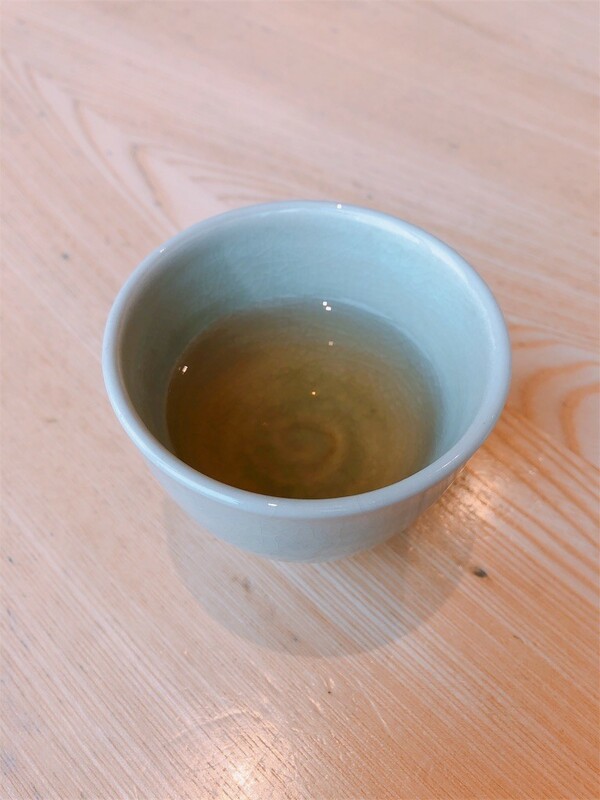 I had three cups of hot soba tea for free. 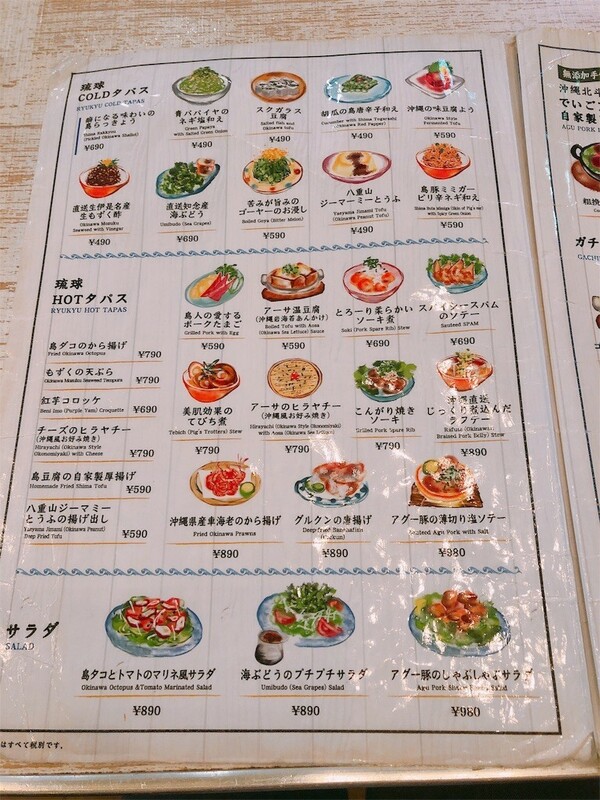 Offering a delicious dish at low price requires as much effort as being approved to offer luxury. 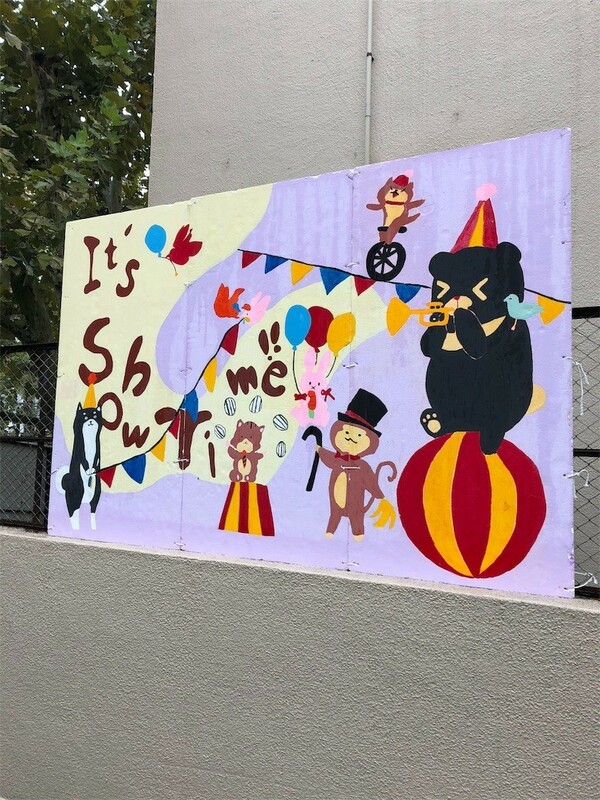 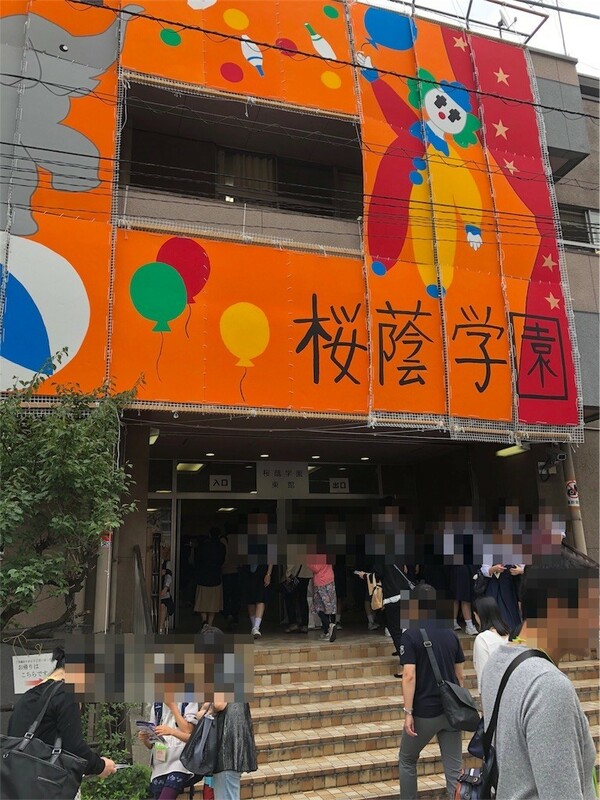 Last Saturday, I went to the high school cultural festival held by Oin Junior & Senior High School, where my niece is attending. 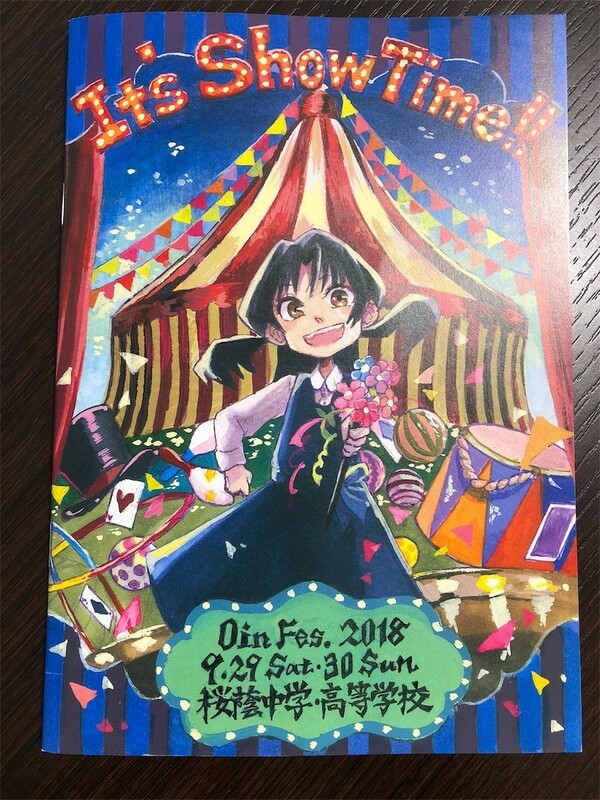 She performed on the violin at the hole concert, as a member of Orchestra Club. 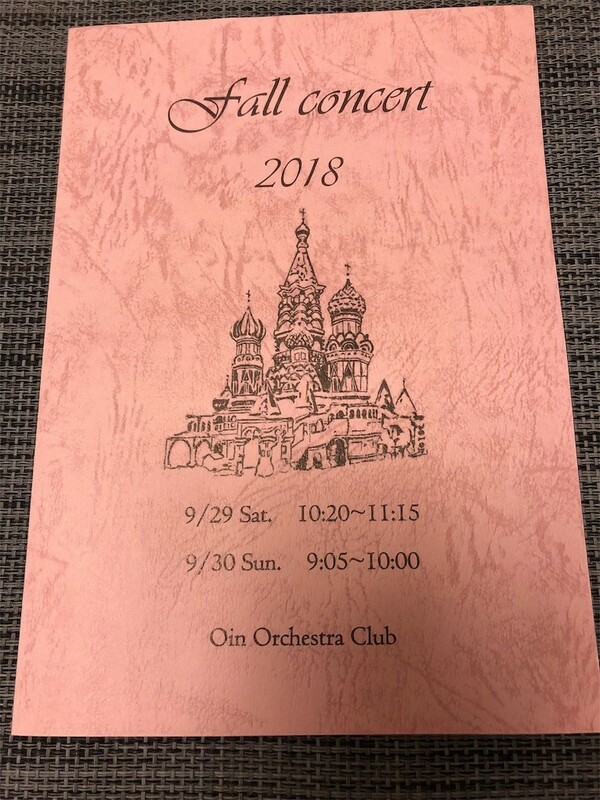 I was very surprised that all the members played Tchaikovsky Symphony No. 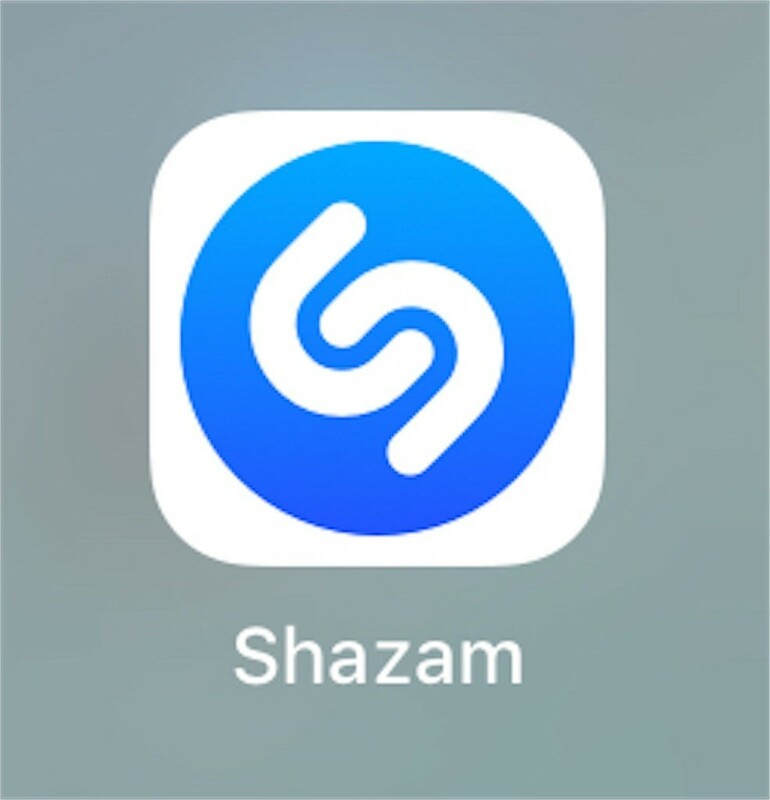 5 from memory. 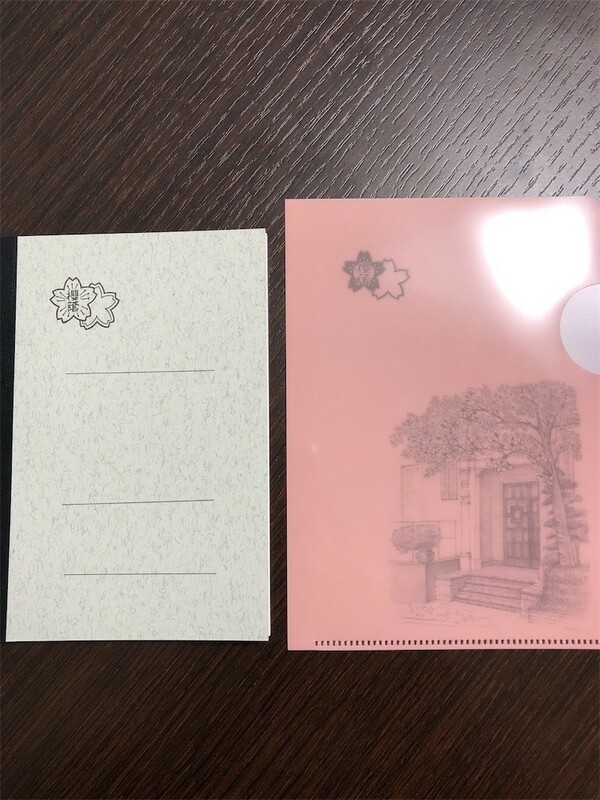 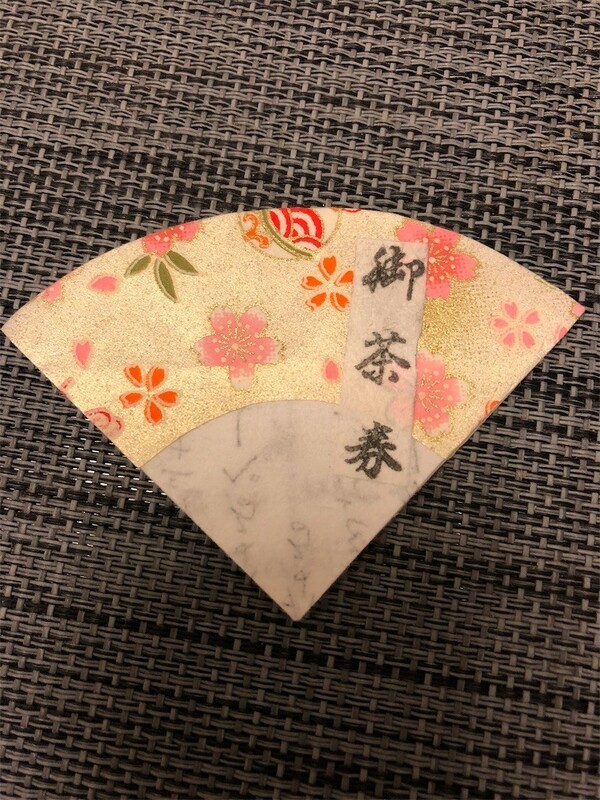 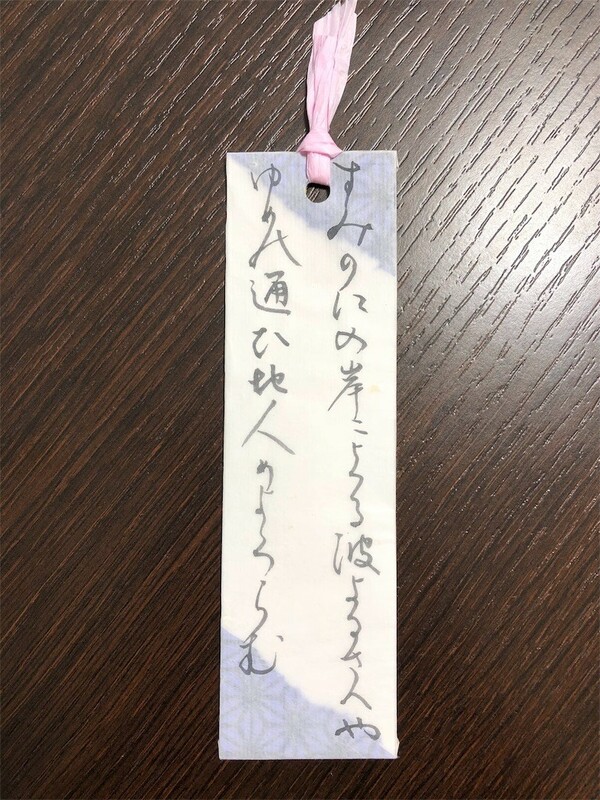 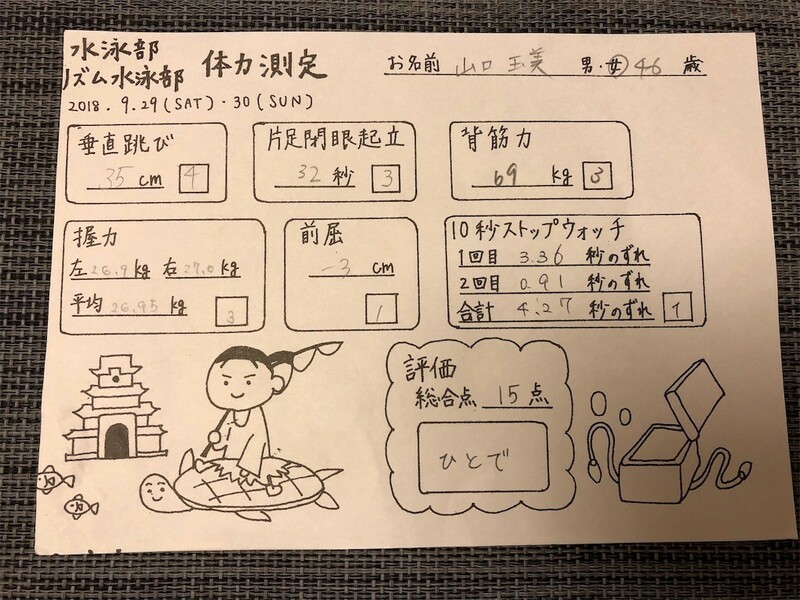 At Karuta Club, I participated in a Hyakunin-isshu game, Japanese card with traditional 100 poems. 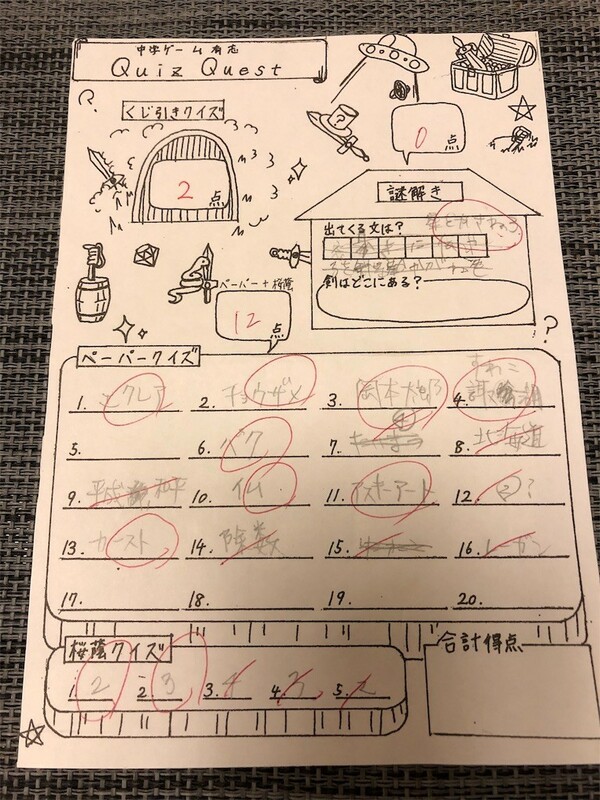 Actually, I was good at Hyakunin-isshu in my school days. 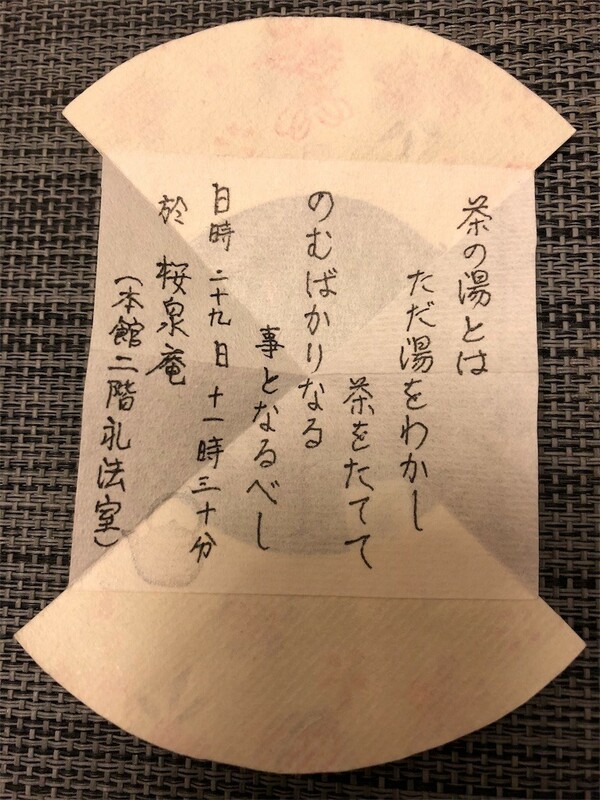 However, I managed to win thanks to opponent's help. 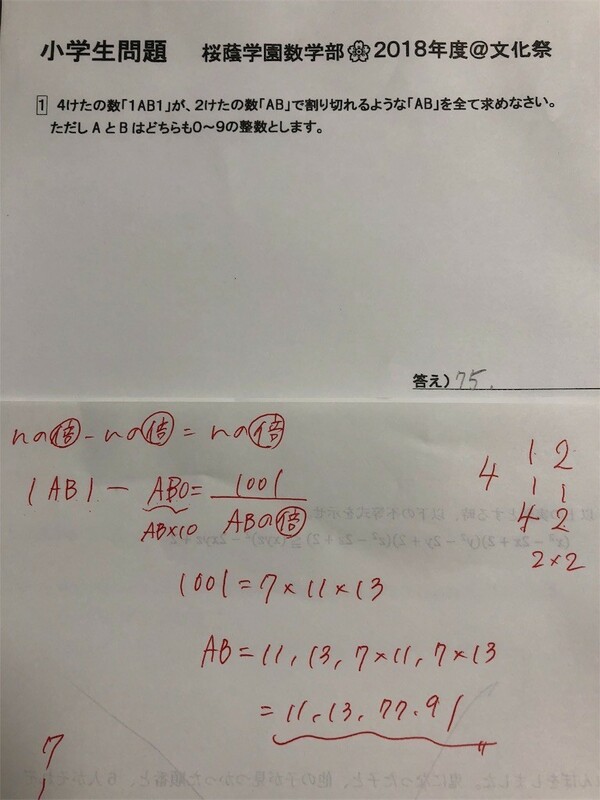 At the Mathematics Club, I learned from high-school student how to lead answers about mathematical questions. 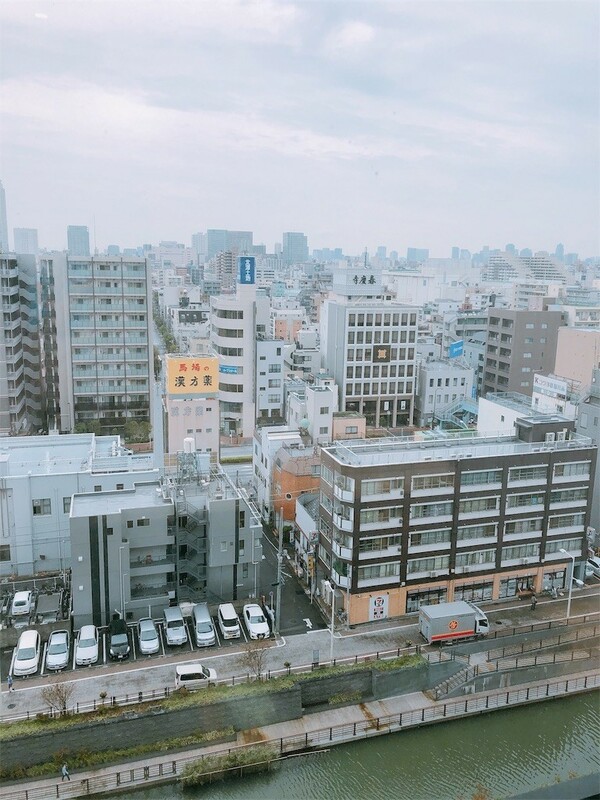 To become intelligent requires DNA, surrounding environment, effort, mind to enjoy study, investing a cram school and good teaching materials. 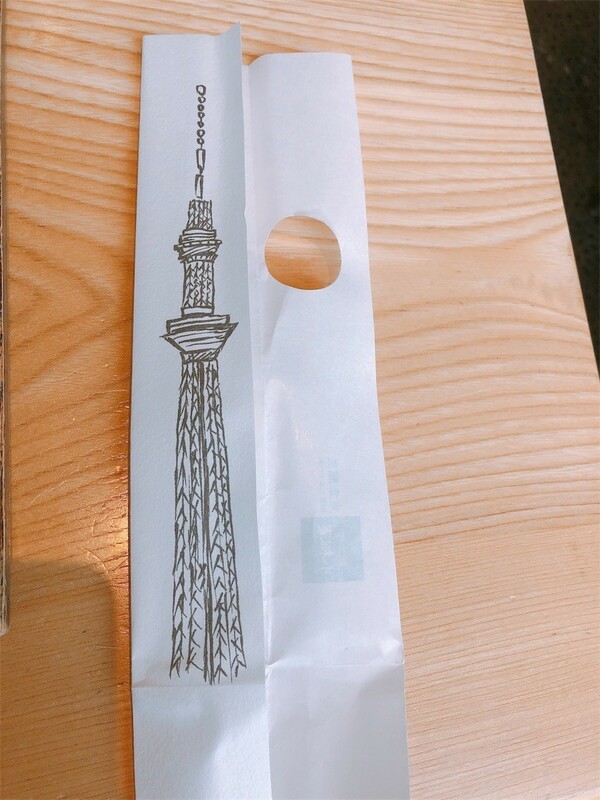 Even though without DNA, we can make up for it with our endeavor, while genius must be making efforts more. 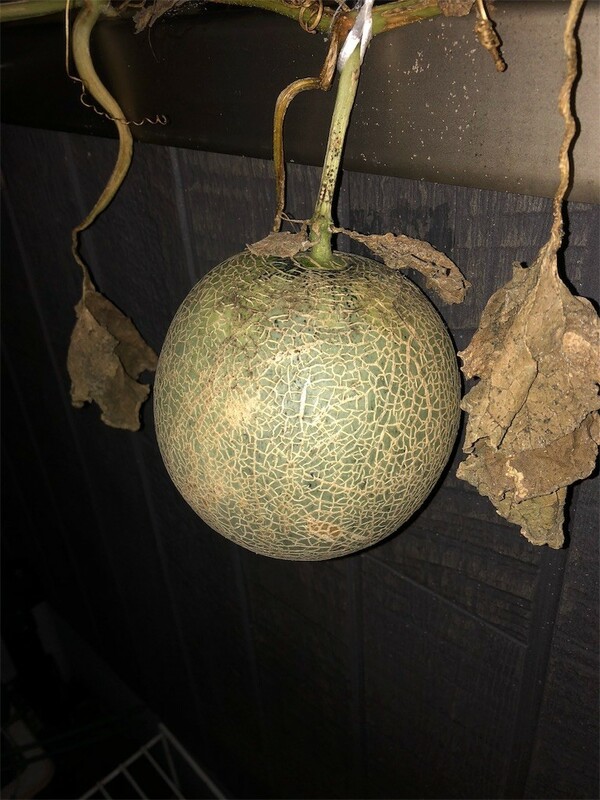 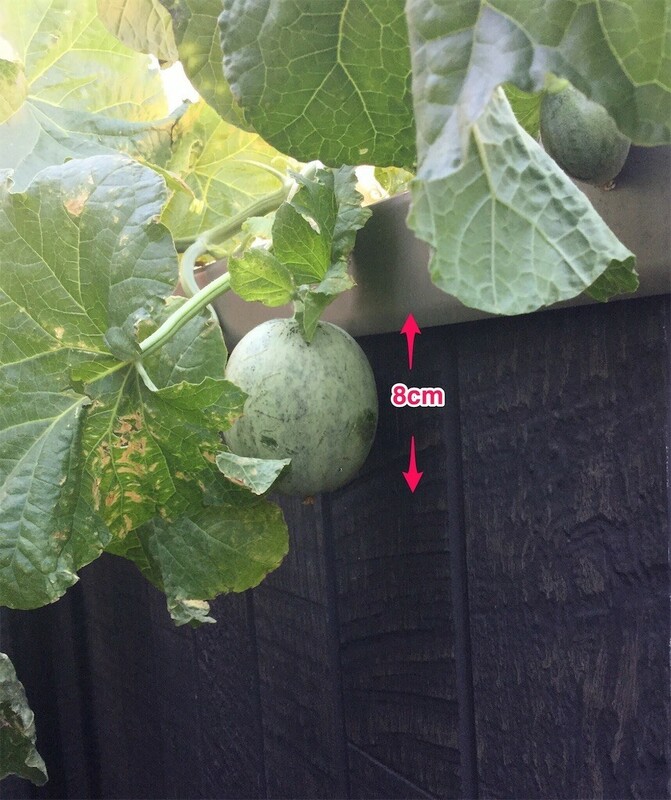 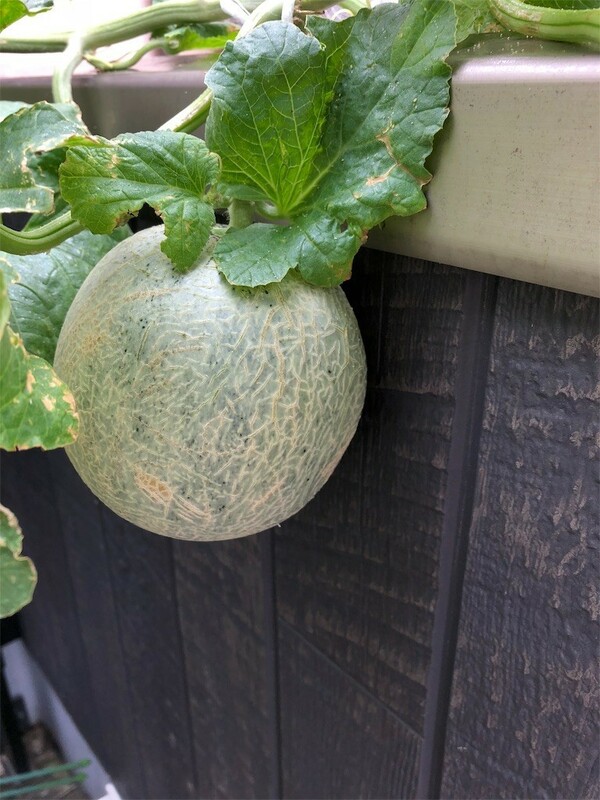 Last week, a melon has been harvested from a planter in my house. 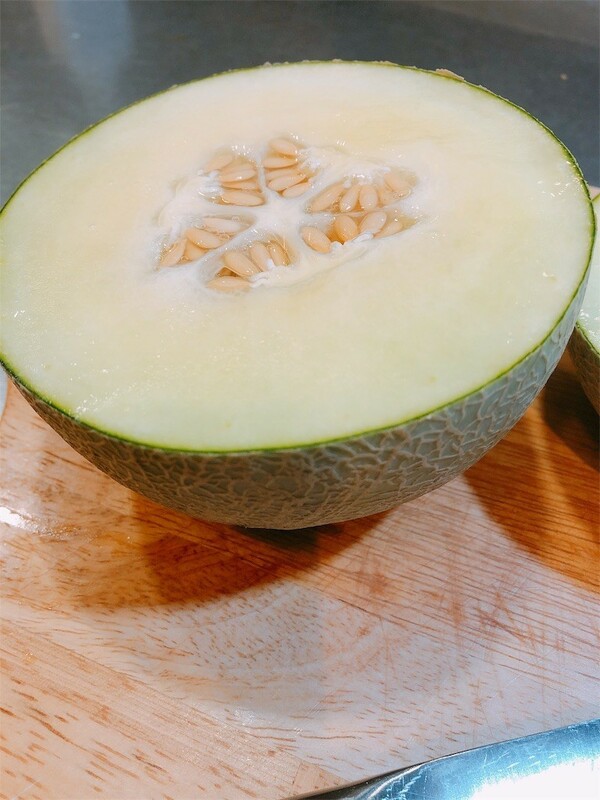 Certainly, after eating some slices of melon, I sowed those seeds in a flower pot. 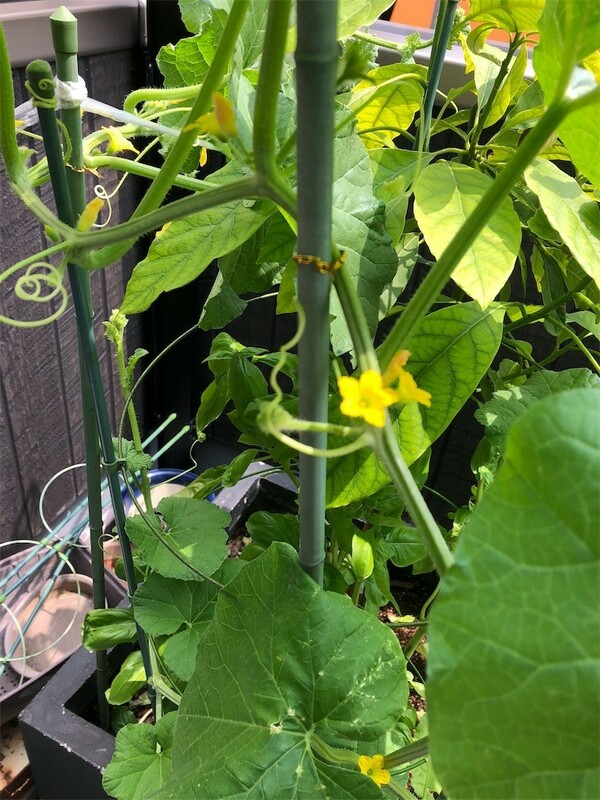 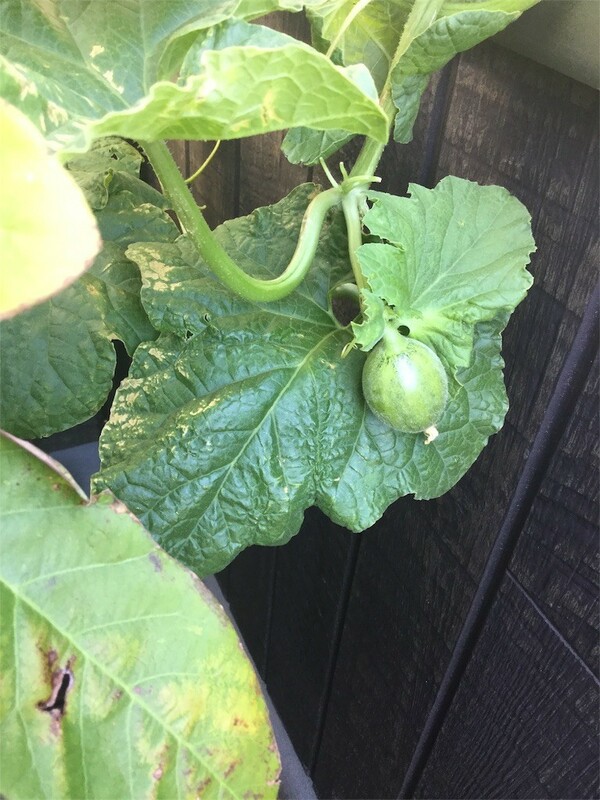 However, it was a big surprise to me and my husband, because we had never thought the fruit would grow in such a situation. 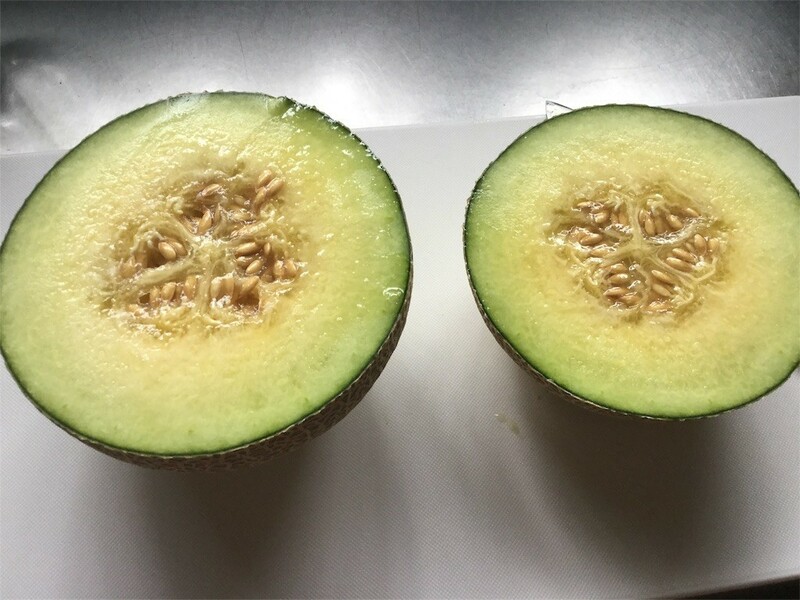 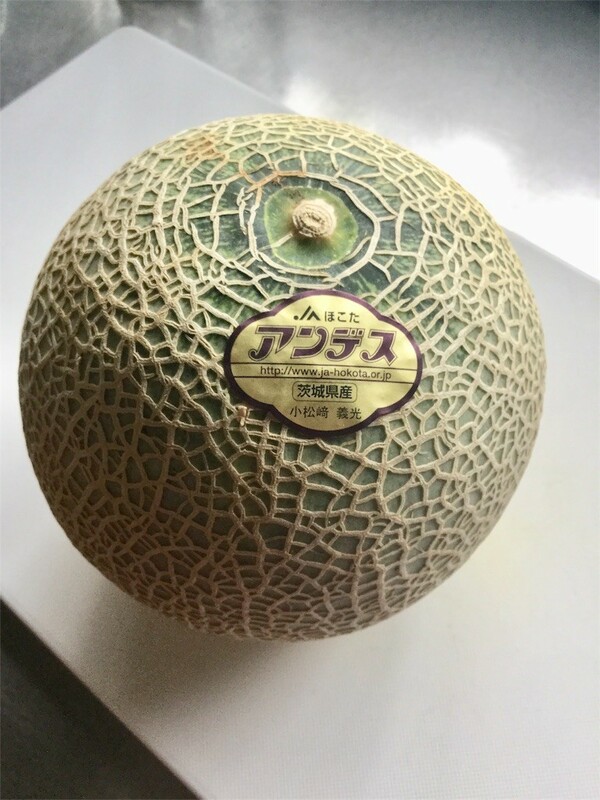 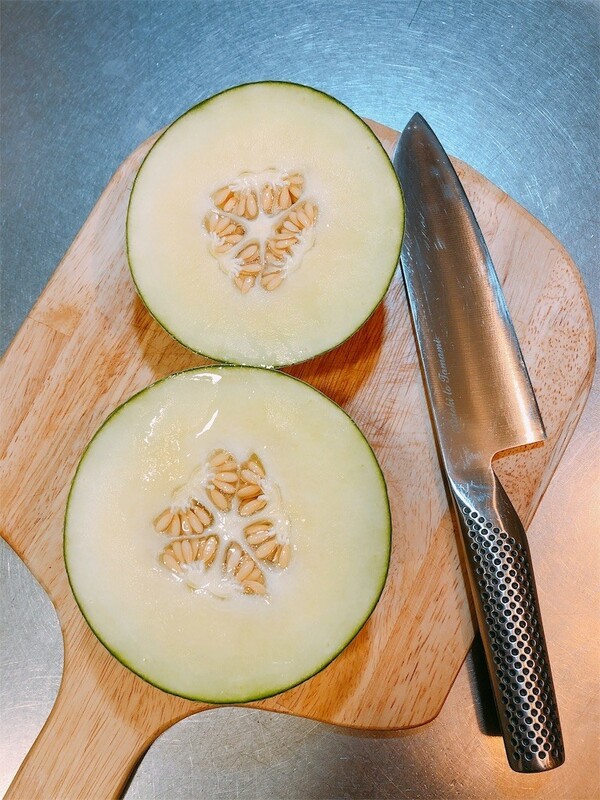 Although the cut melon was not so sweet, I was very happy to meet a goal. 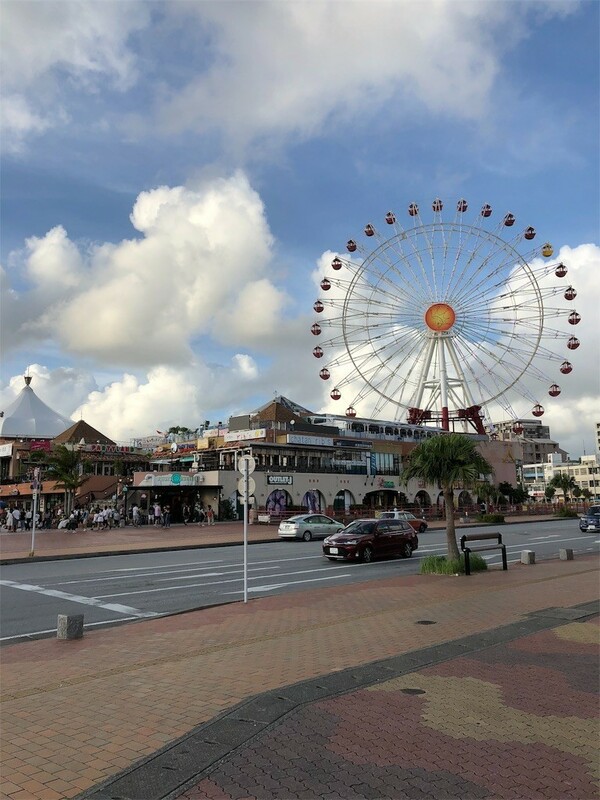 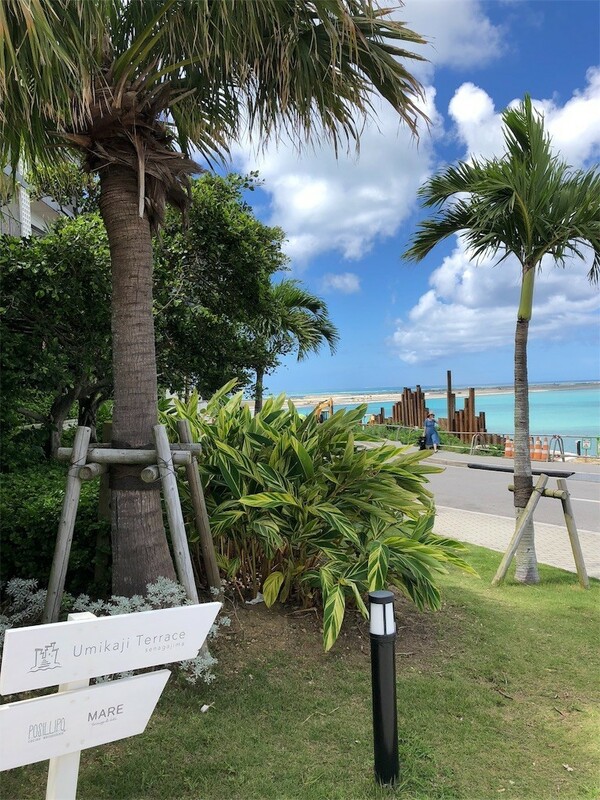 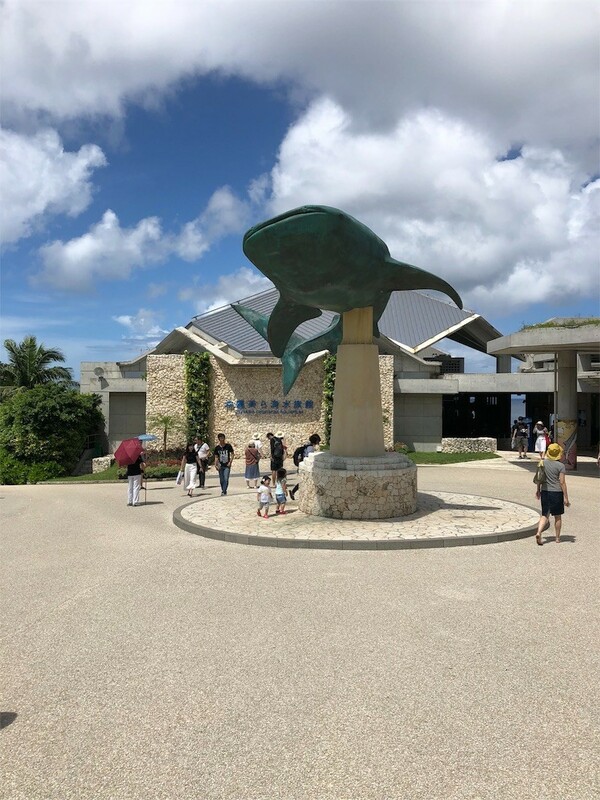 Okinawa is too attractive place to have enough time to visit. 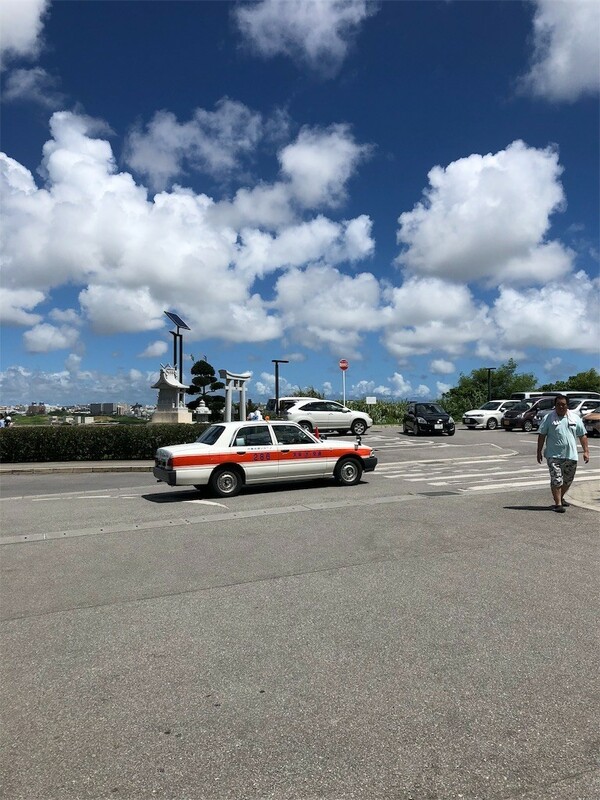 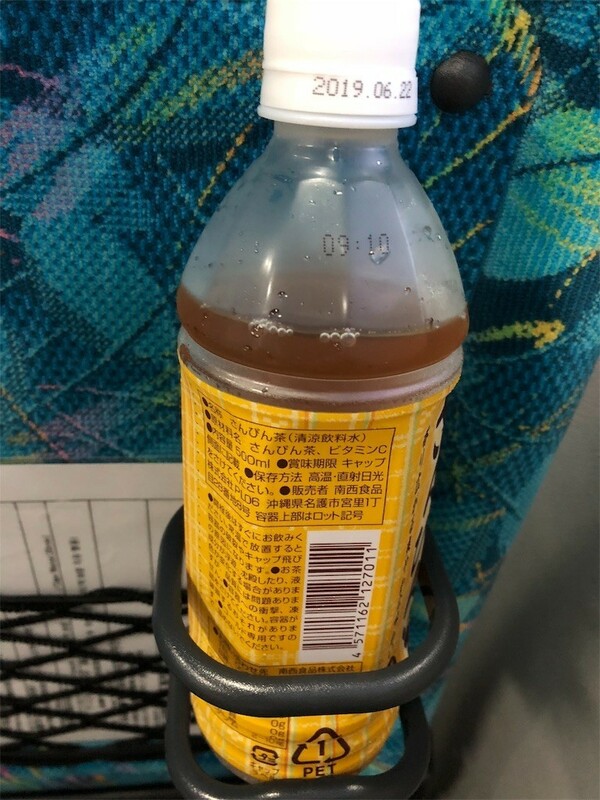 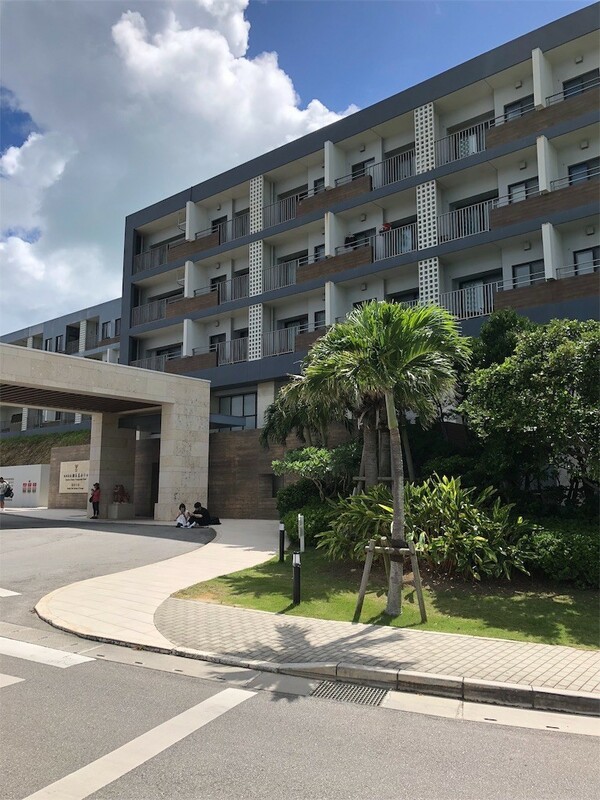 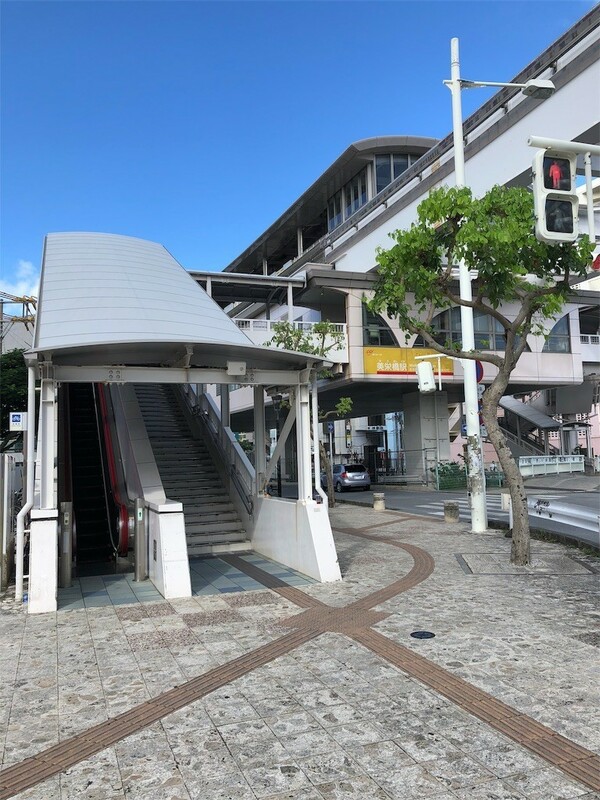 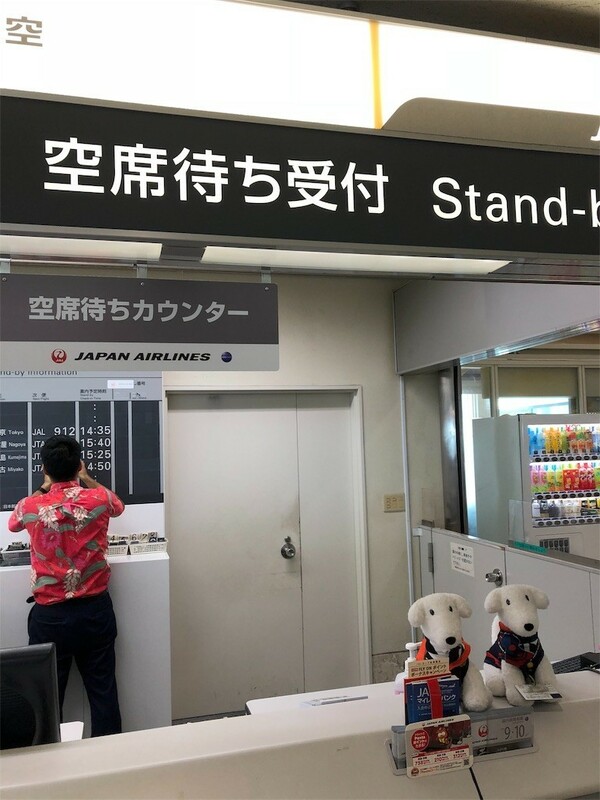 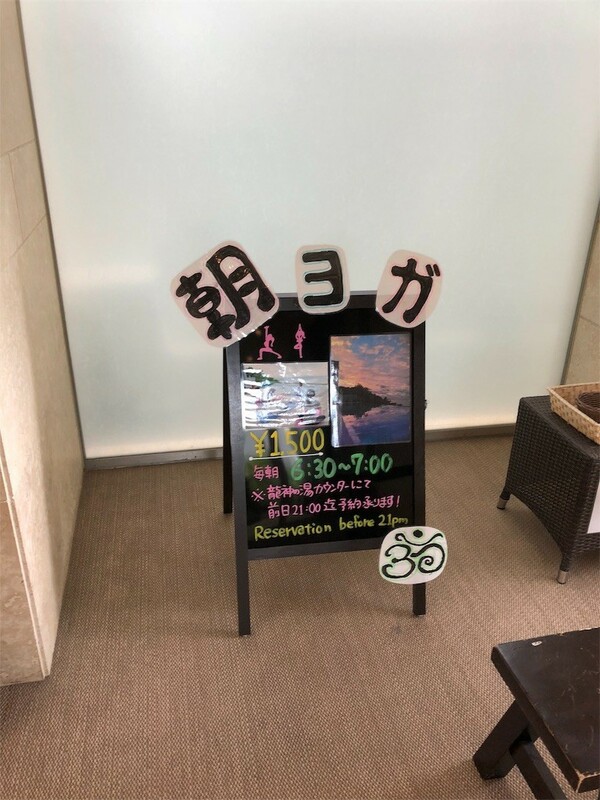 On the last day of my Okinawa trip, time was still left until departure of my flight, so that I took a taxi and directed to go to Senaga-jima. 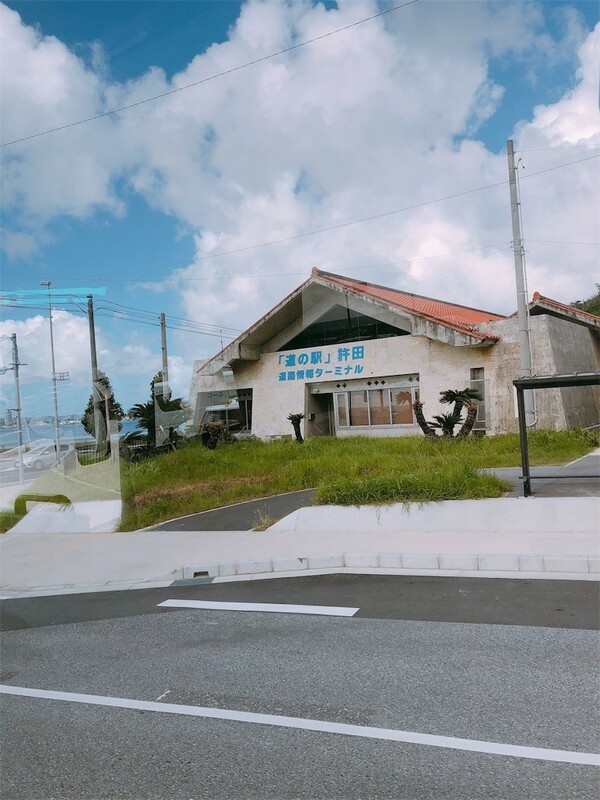 However, the taxi driver recommended other better sightseeing spots. 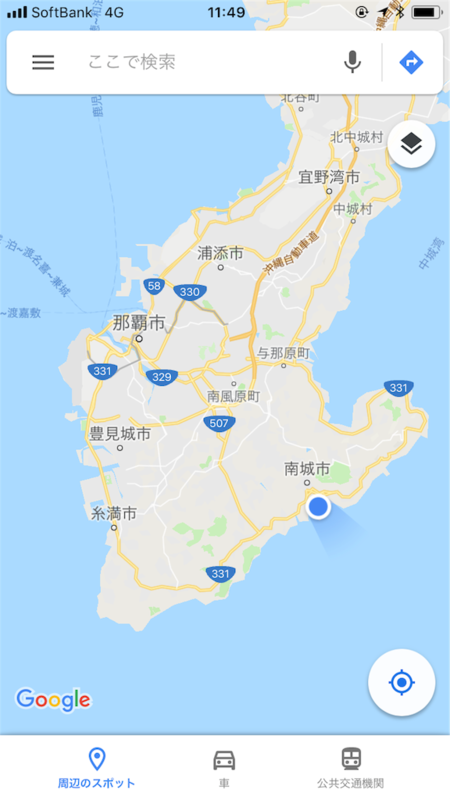 I agreed with him, and changed the destinations as suggested. 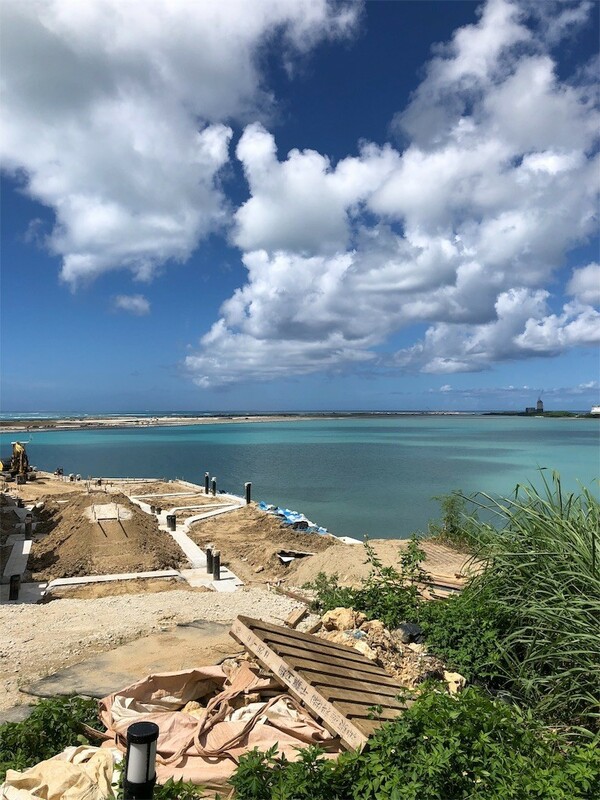 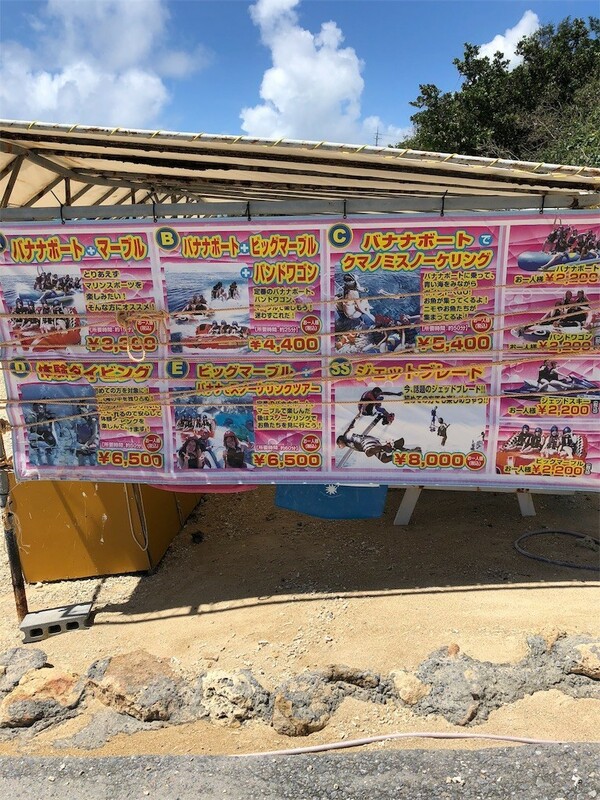 Mibaru Beach, located at South of Okinawa, is not as developed as in the middle resort area of Okinawa. 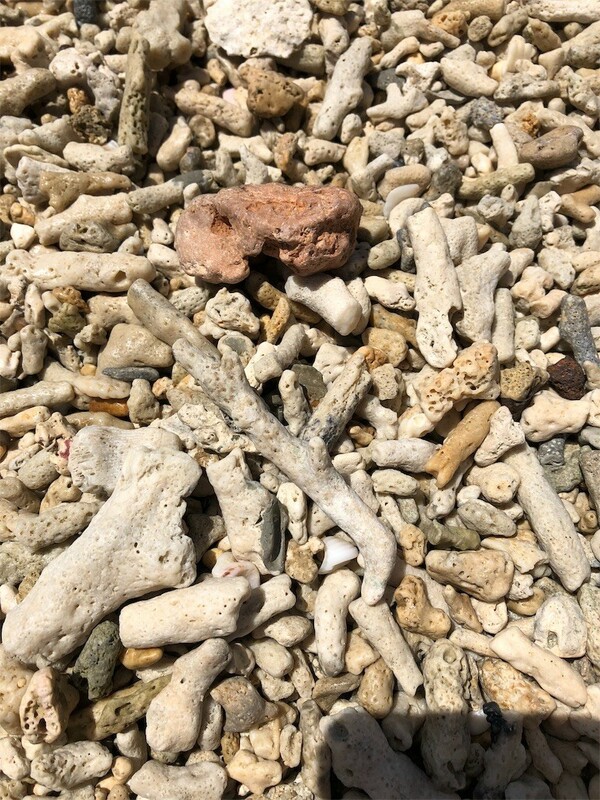 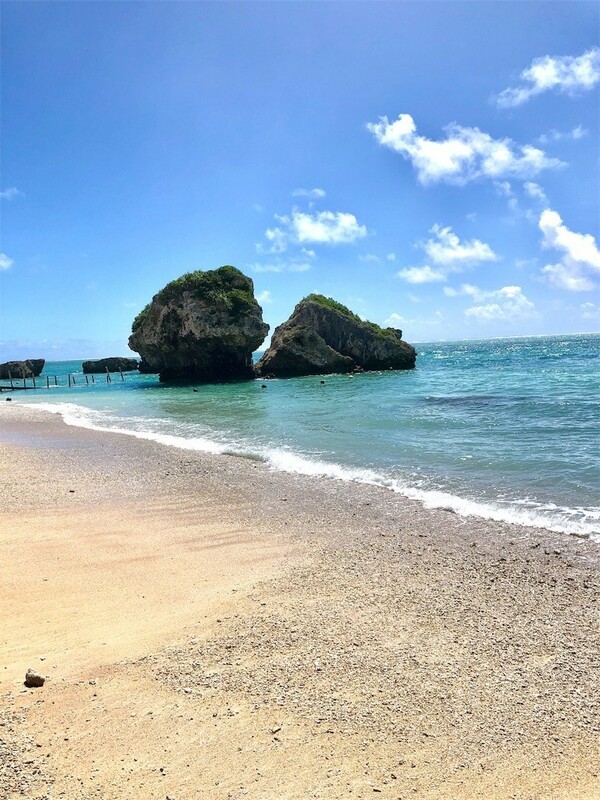 Therefore, you can see a pristine and quiet beach. 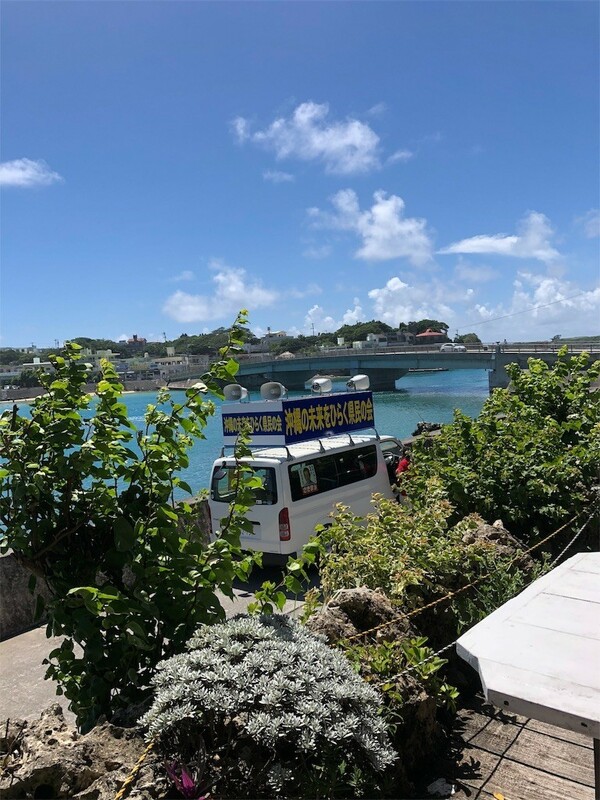 According to the driver, there are a couple of celebrity's second houses in the vicinity. 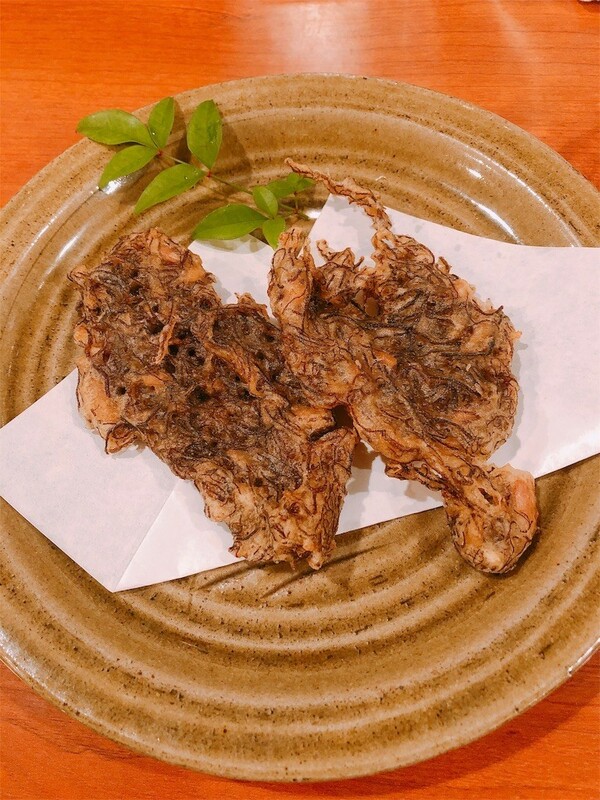 Kunnatou is a mozuku cuisine restaurant which is rare. 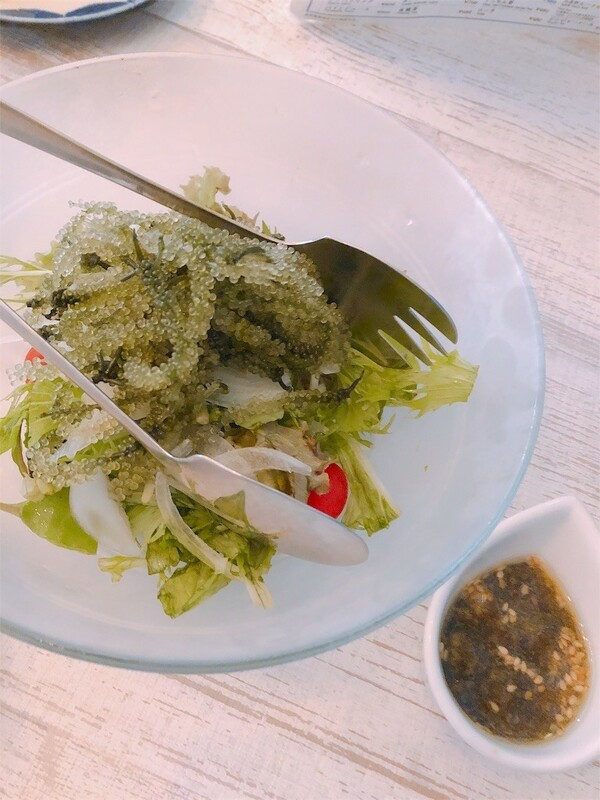 Mozuku is a kind of seaweed, like thread, and this area is famous for its production. 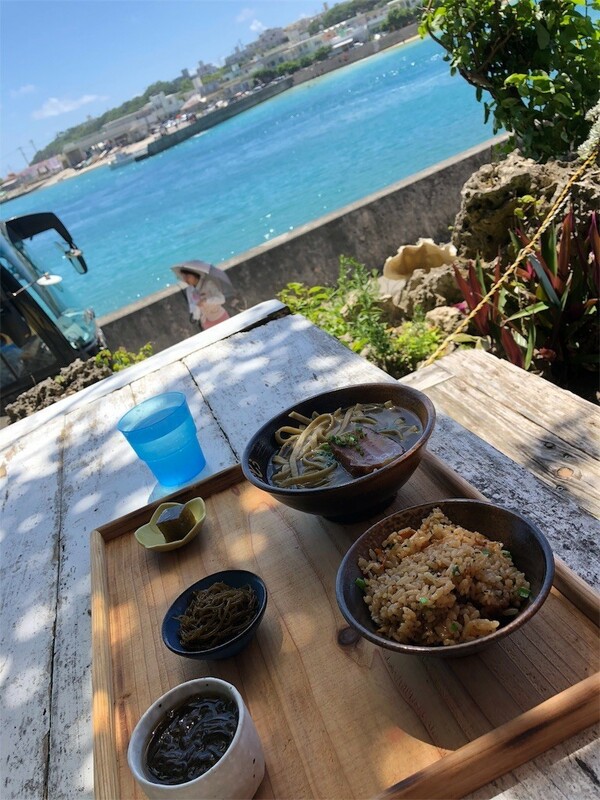 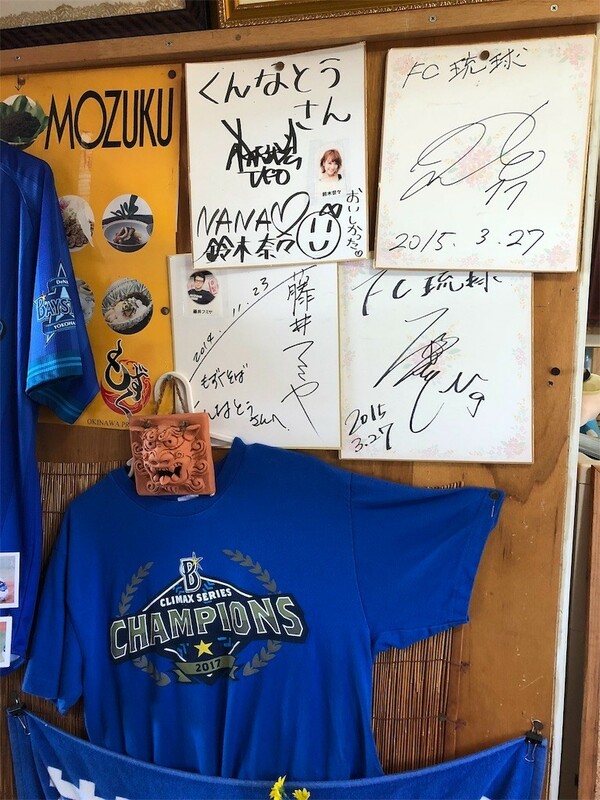 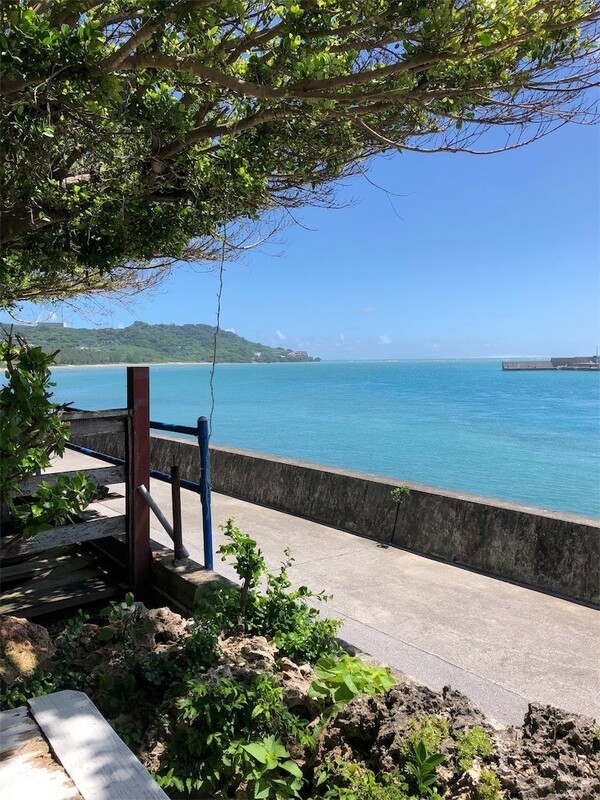 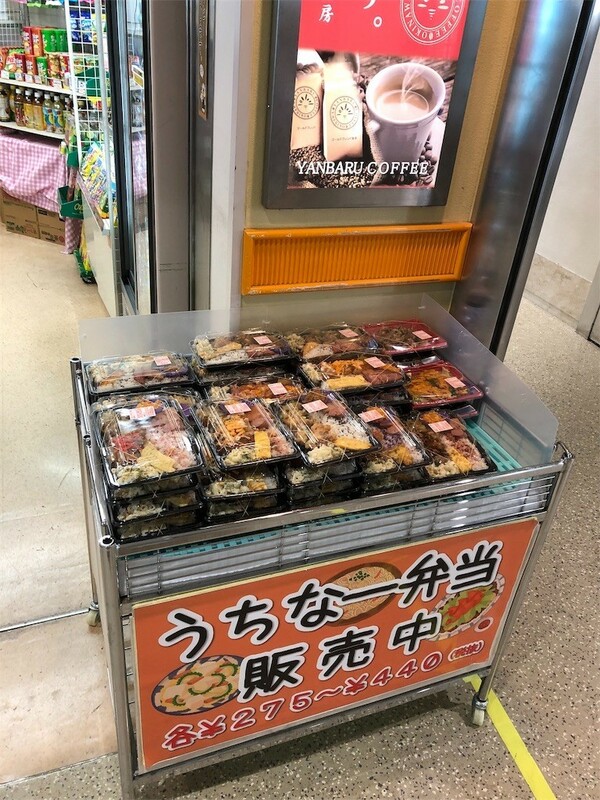 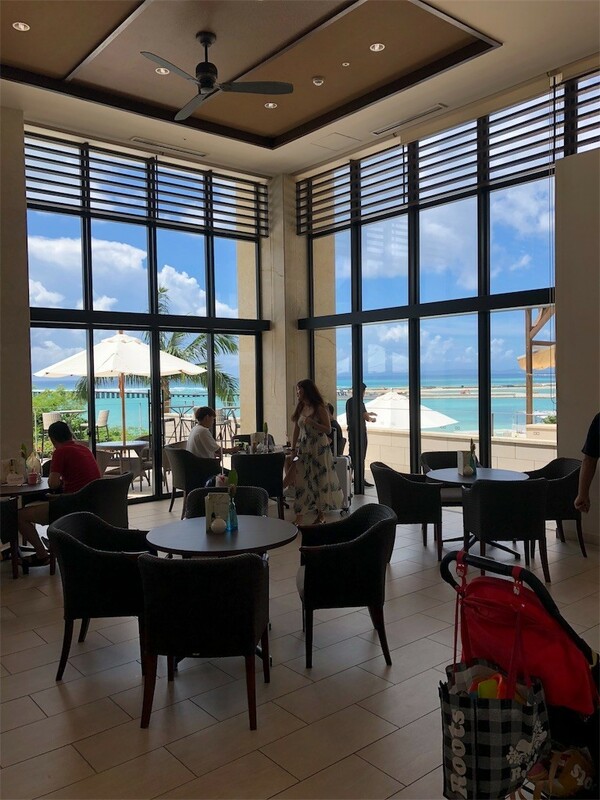 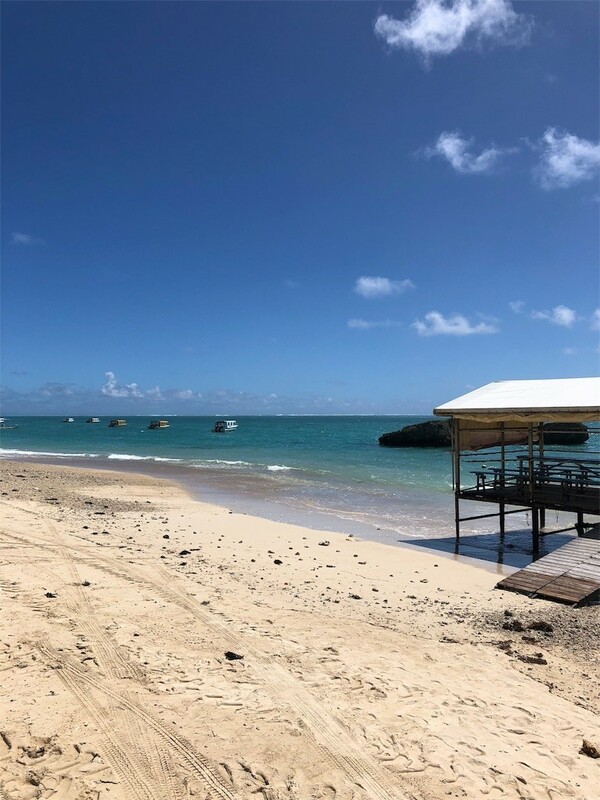 While seeing clear blue ocean and Diamond-Head-like mountain, you can eat fresh thick mozuku, Mozuku-noodle, and Okinawan pilaf called "Jusi". 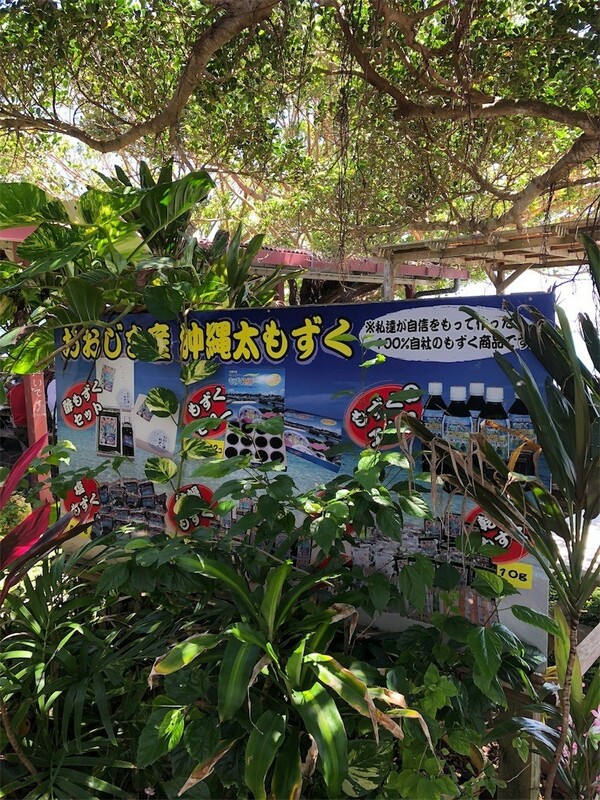 Senaga-jima is an island whose area is newly developed as a resort with hotel, hot spring and shopping mall. 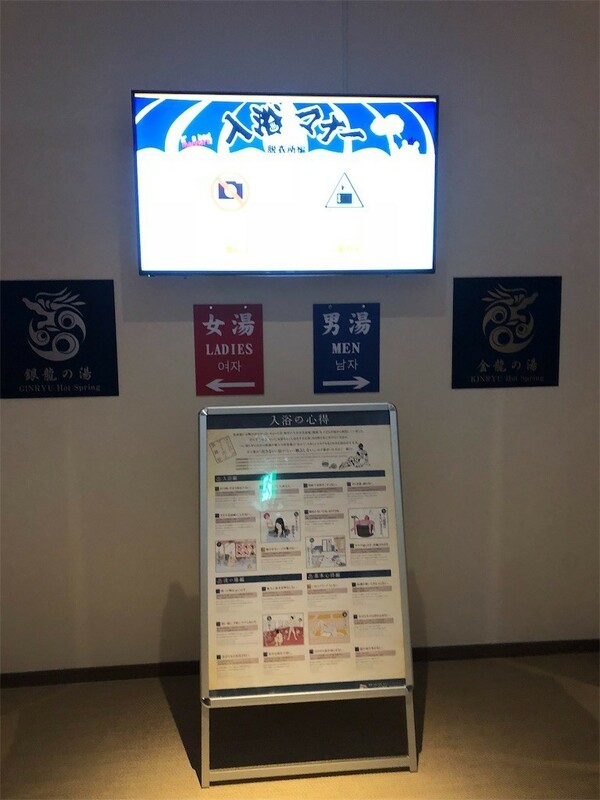 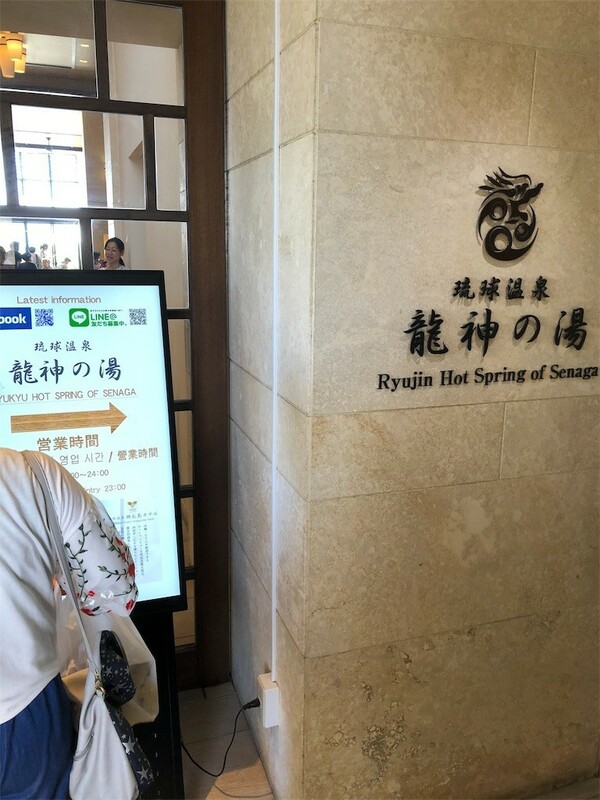 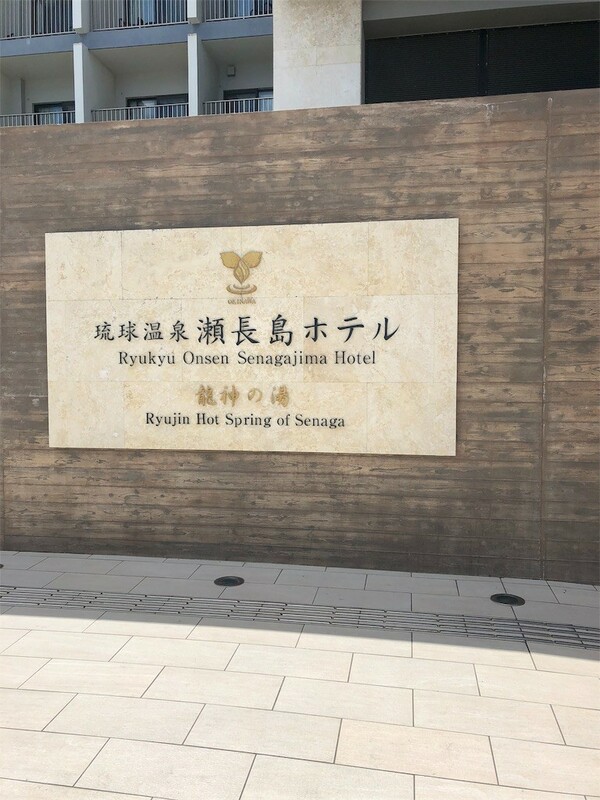 You can see a panoramic view of wide ocean while getting into hot spring. 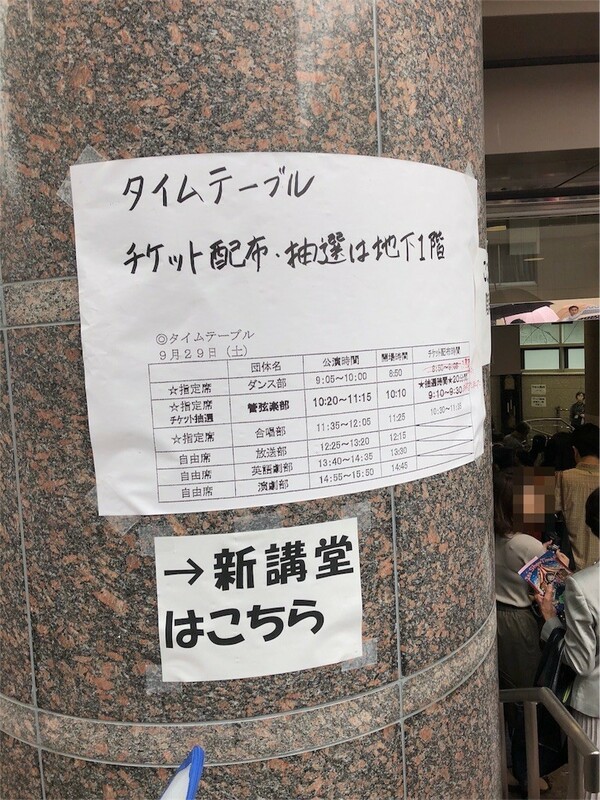 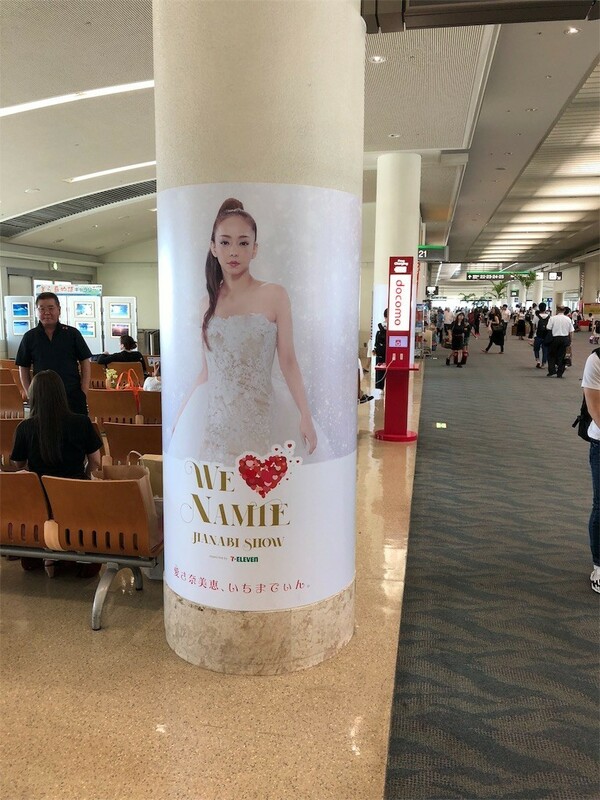 My itinerary was coincident with Namie Amuro's retirement concert schedule, who was one of the most famous singers in Japan. 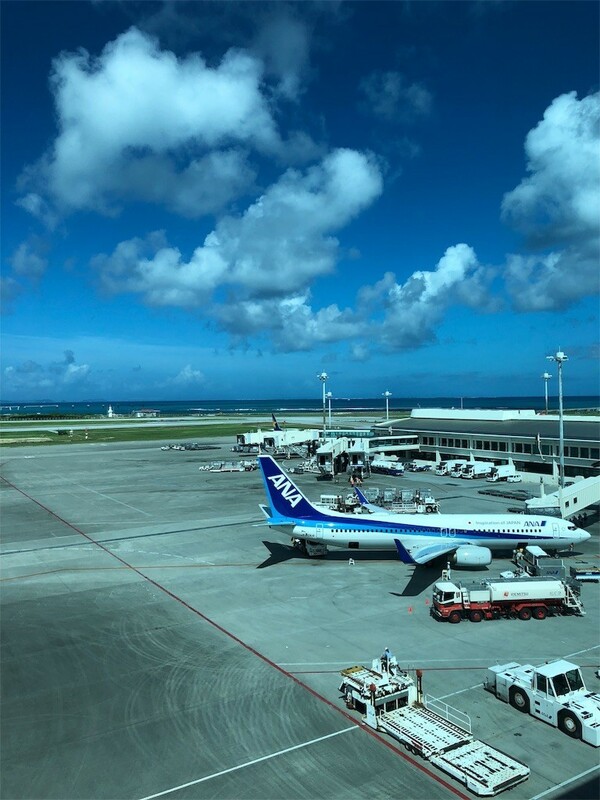 Japan Airlines prepared some special deliveries for her final live event. 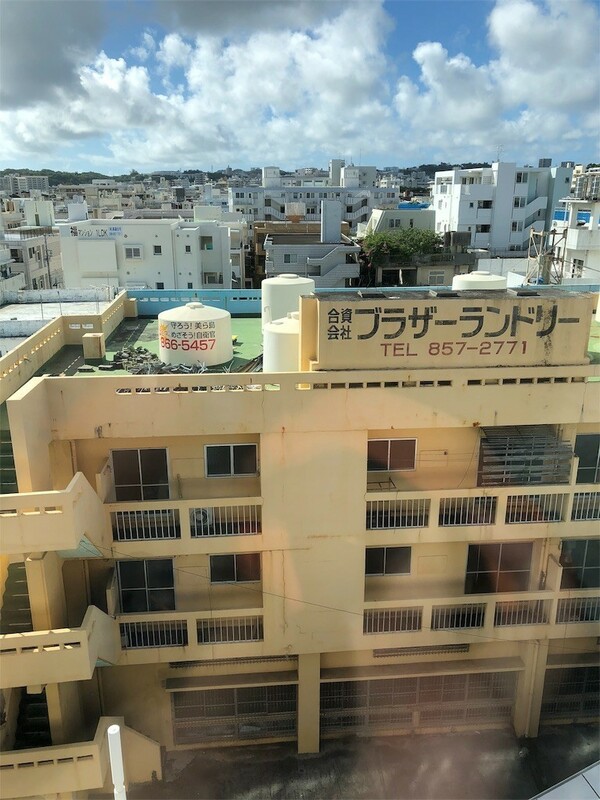 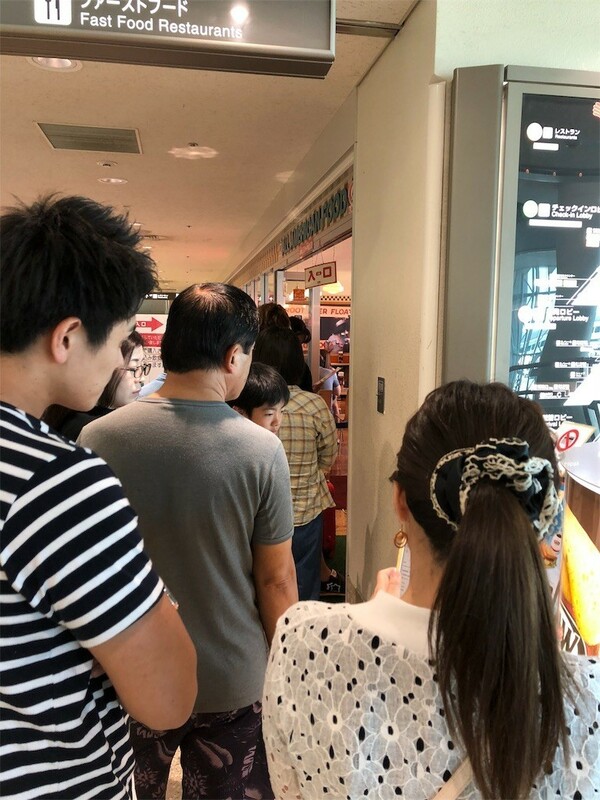 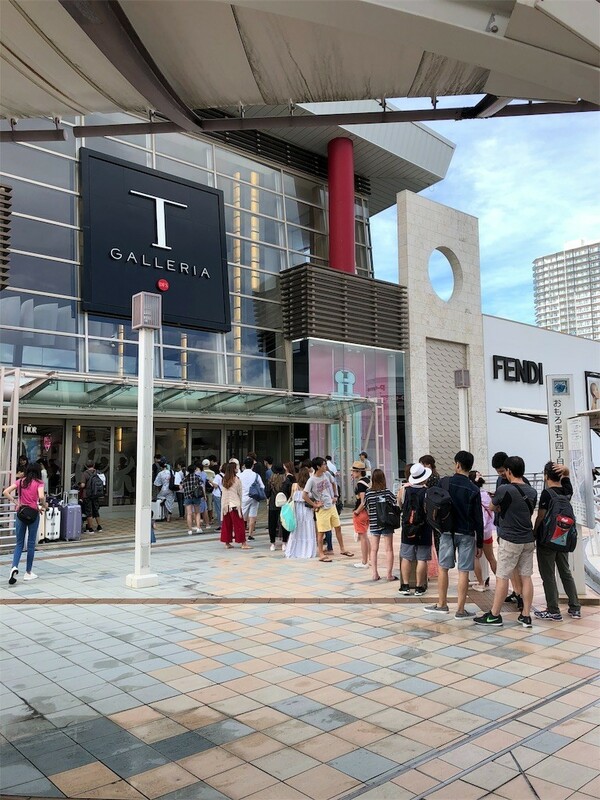 There must have been many people who came to Okinawa to watch Amuro's last performance. 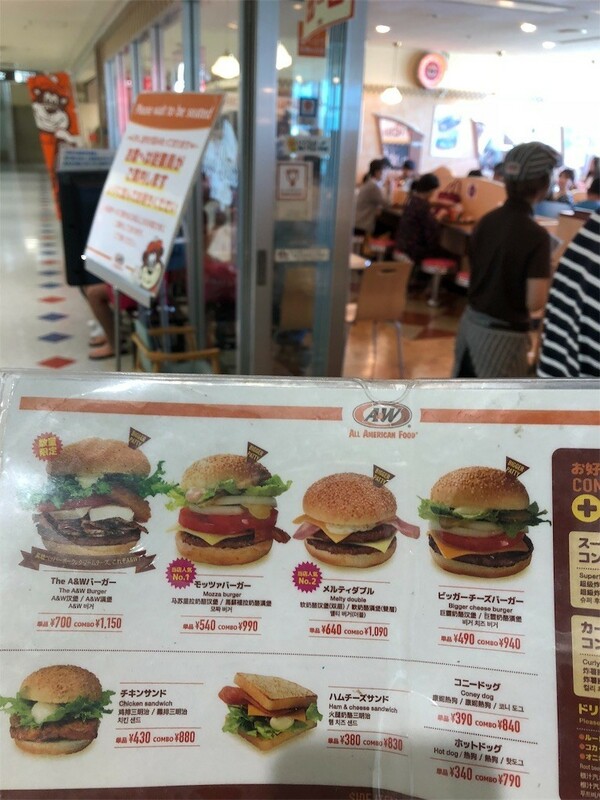 A&W is a hamburger shop come from USA and is the first fast food restaurant in Japan. 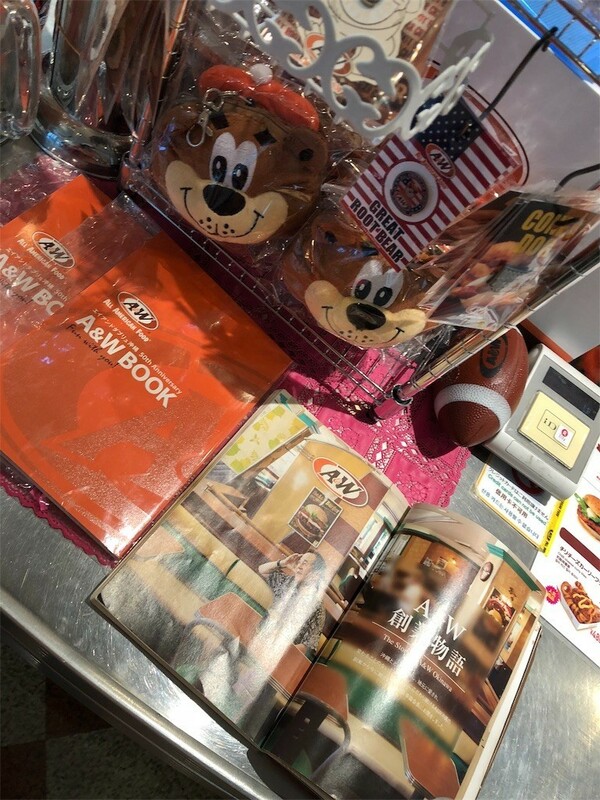 Originally two Americans, Mr. Allen and Mr. Wright founded root beer stand. 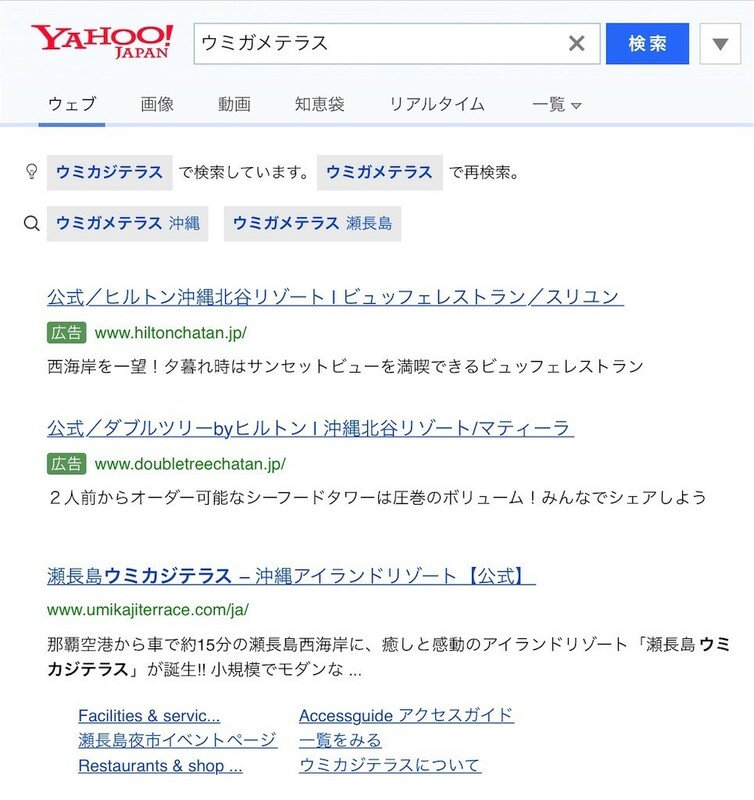 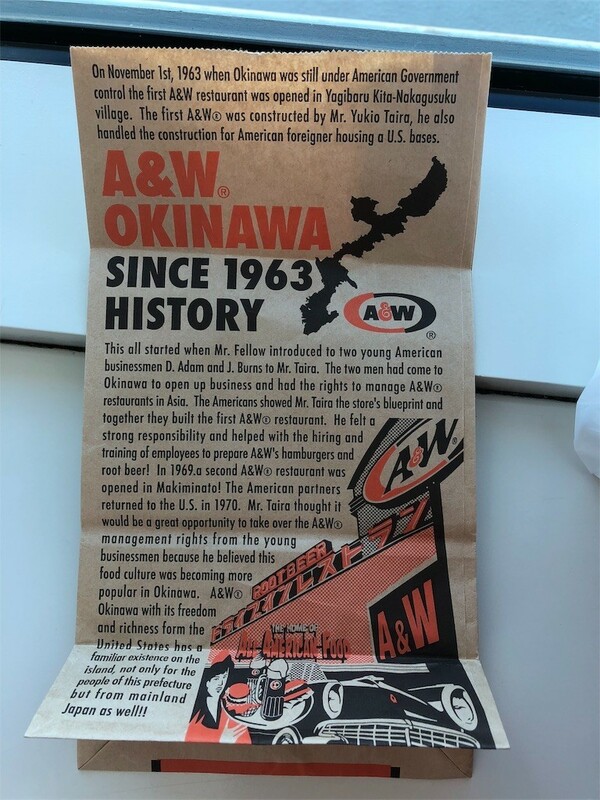 After that they expanded many domestic and overseas chains. 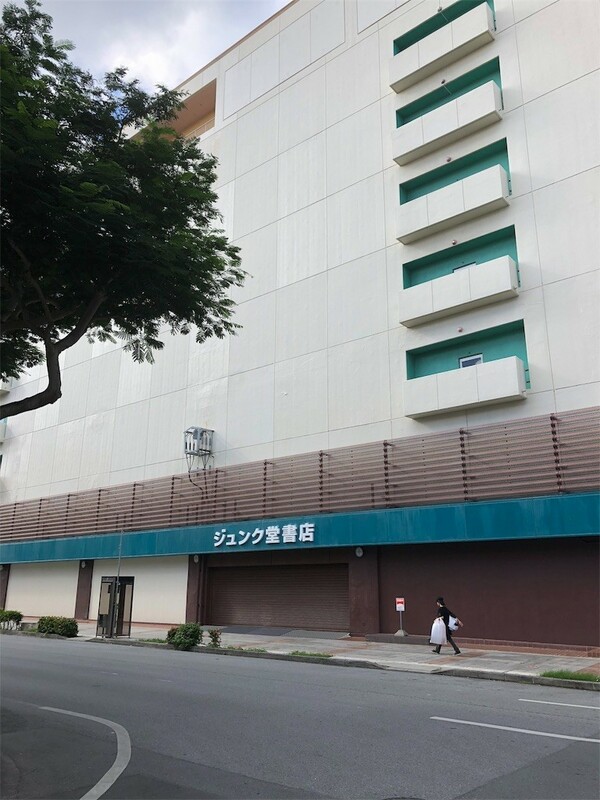 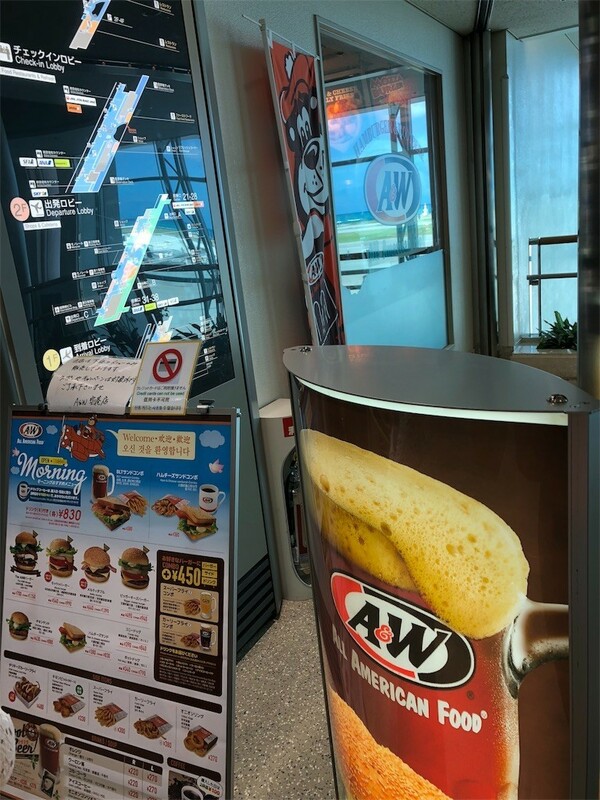 Now in Japan, we can eat A&W's hamburger ONLY in Okinawa, except US military bases. 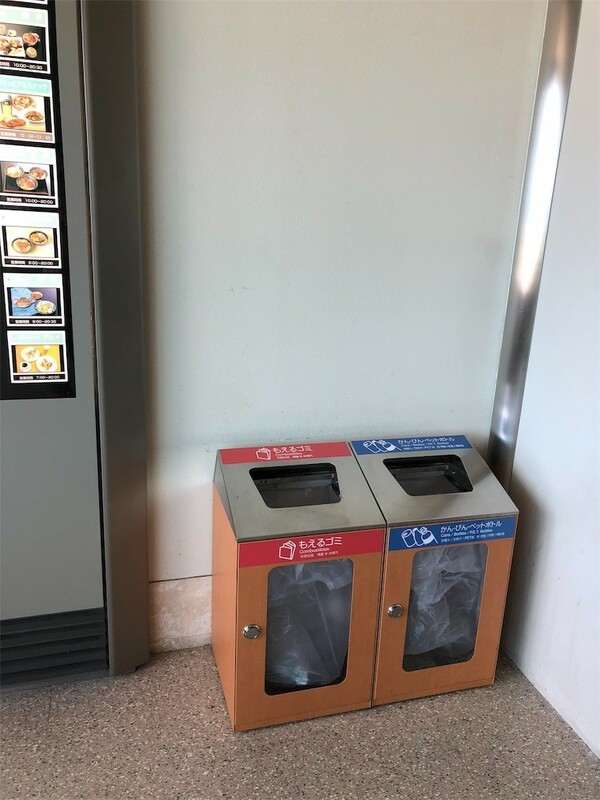 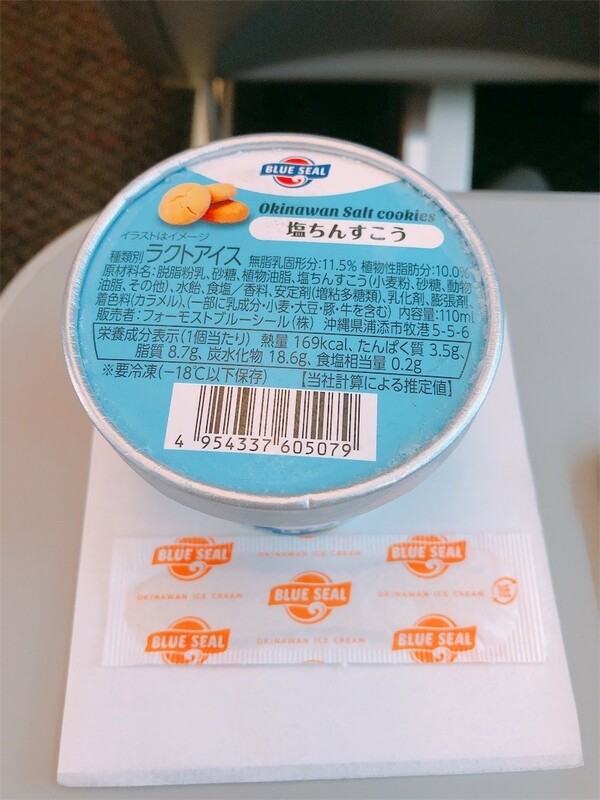 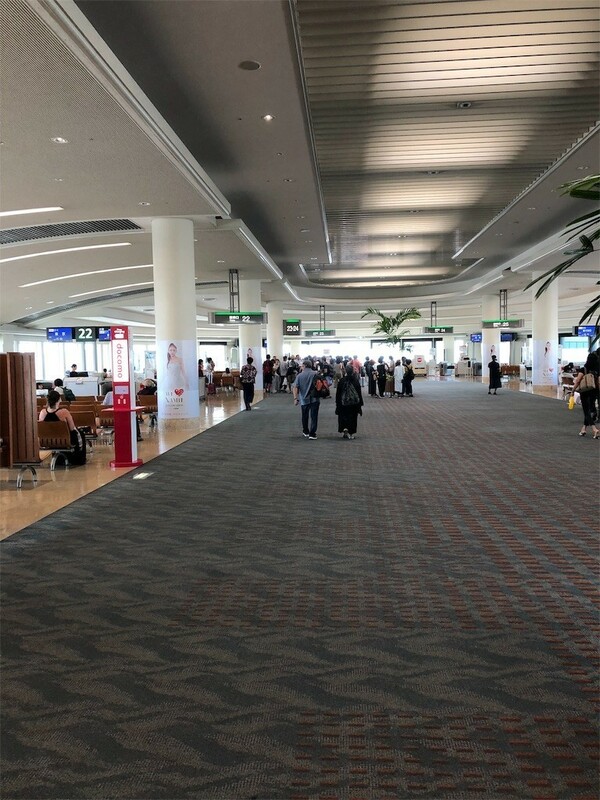 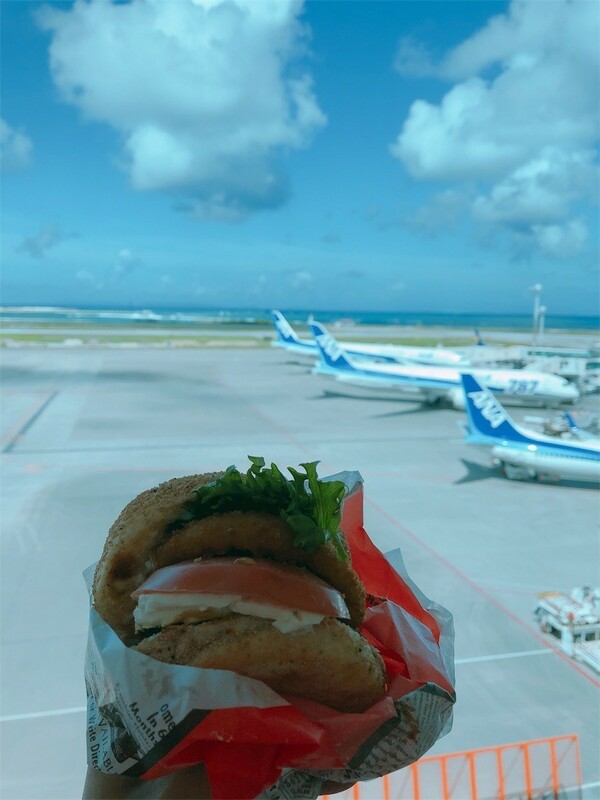 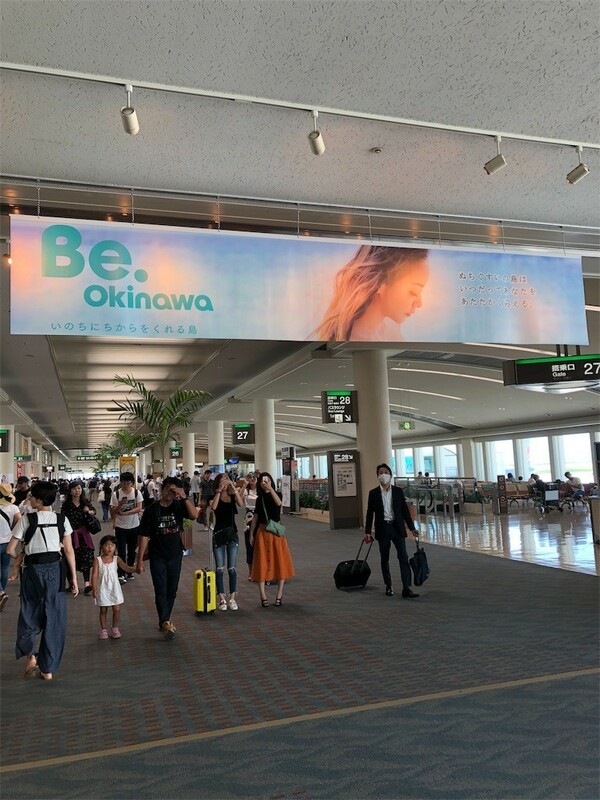 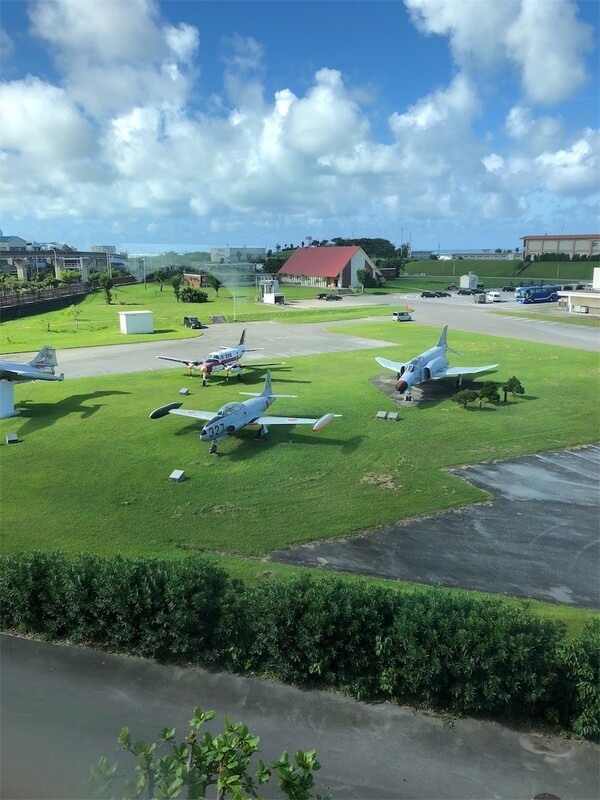 At Naha Airport, you can taste A&W's burger while seeing perfect view of ocean and similar blue colored ANA's Airplanes.